HTD uses an independent 3rd party review service called Power Reviews to collect evaluations from verified buyers of our products. Our lifetime rating is currently 4.7 out of 5 stars across all of our products. Take advantage of our risk-free 30-day guarantee to experience for yourself why HTD receives such high praise. "A beautiful set of speaker stands and an extraordinary customer experience all around. These speaker stands were packed and shipped with care... an obvious indication of a company that really takes pride in the quality of its products. So rare to find these days. The white gloves were a surprising and brilliant final touch. I'm not exactly an audiophile, but these stands (and a new Onkyo tuner) have brought new life to my old speakers. I'm now rediscovering music I haven't listened to in decades." Where do we get our quotes? Published to the Reviews tab on every item's detail page. Click for example. "Great bottom! When Sly and the Family Stone sing about adding bottom, this what they had in mind! I’ve had subwoofers before, but this one (Level TWO Powered Subwoofer) really cooks and makes the home theater experience really rock!" "This product (Mount Kit for Amazon Echo Dot) was easy to install, attached very nicely to the cat5 cable I had pre-wired in my ceiling and blends in nicely with the grills on my HTD speakers. The connections were simple and work flawlessly. I'm going to buy more and install one in each room." "Just finished working with HTD to design and install a system that incorporated the HDX-R80 speakers into 4 of the zones, amazing sound and even better customer support and guidance. Love HTD and cannot recommend them and their products enough. The sound distribution is amazing." "I am consistently thrilled by HTD's products and service. I thought this might end up being too difficult to install, but the HTD team patiently answered my questions, and I was able to replace a proprietary URC whole home system with this one. DIY is the way to go. If you don't DIY, then you will pay through the nose to an installer every time you need something done." "Impressed. These [Level THREE Bookshelf] speakers for $300+ give better sound than my $1500 Celestion A1s." "Great service and support as always. HTD is a very service oriented company that delivers superior solutions." "Fantastic and feature-rich product at a tremendous value I am a DIY homeowner and spent many, many hours researching whole house audio solutions that would be both feature-rich and high-value. Originally, I was very skeptical of finding something that met both criteria. I found HTD and that concern was immediately debunked. They had products that exactly met my needs at a cost/value that is second to none. I am using two MC-66 multi-zone controllers in tandem to provide a total of 12 zones in our home. I couldn't justify spending the extra money on the Lync 12 and didn't need the additional functionality it offered. The Valet software UI is very intuitive and user-friendly. Originally, I was a little concerned about switching between two panels (one panel per MC-66) but found it is a very simple and painless process to switch between panels and the Valet UI ultimately feels like one unified system." "This is the second complete set of level 3 speakers I have bought from HTD - tower, center and subwoofer. My last set I sold with my theater set up in my last home. The sound quality of these speakers is so phenomenal that i wouldn't consider anything else. Absolutely incomparable sound. I also have 4 HTD HD-R80 High Definition In-Ceiling Speakers for surround. My whole house sound consists of an additional 16 HD-R80 High Definition In-Ceiling Speakers in six zones with Lync 6. My last house had 12 zones, 2 subzones and 38 speakers." “I've been in audio all my life and have listened to and owned some pretty impressive speakers over the years. These level 3 towers out perform in every aspect speakers that cost 3 and 4 times the money. The quality and attention to detail of the cabinets is only outshined by the incredible sound quality. The natural sound and ability to reproduce even the most complex recordings with accuracy, bold dynamic range, yet so smooth. Full soundstage, great imaging. My opinion? Buy them. The best speakers I've owned. " “I purchased two systems with keypads, (1) MC66 - house system & (1) MCA66 - outside/shop system, back in Jan. 2014 before the house we were building was finished. Before I ordered the system, I sent my house plans to HTD and told them what I was looking to do and we came up with a system set up that met my needs. I waited to write this review because I wanted to see how the systems would perform over time. - 3-1/2 years of use so far and no problems. We use systems every day for hours (listening to it right now as I type this review) - Valet system (didn't have when I bought systems) works flawlessly and is an awesome addition. - When I buy things I want the best bang for my buck...Needless to say I feel that I made a great decision going with the HTD system. Price was great and system works great! Would not hesitate to do it all over again. HTD customer service is great. From planning the system, to answering any questions I had during installation and beyond, these folks were awesome. I get the impression, when I talk to them, that they are not just trying to sell you something so they can make a profit, they truly care about you and you being satisfied with their products." "I am in the process of finishing a basement and was scouring the internet for the best in wall speakers that wouldn't break the bank. I came across recommendations to use HTD on a number of audiophile forums, but was still very skeptical of a company that I had never heard of. I decided to take a chance and it has paid off ten-fold. The price was a fraction of what I would pay for similar speakers from other brands, they had incredible options and shipped my order within 24 hours. I decided on a 7.1 system from their HD line. In an effort to be overly perfectionist, I did 5 aimed speakers and 2 straight firing speakers. However, when installing them, I had a momentary lapse of intelligence and used the cutout template from the aim speakers for the straight firing speakers, leaving a hole much too large for the smaller straight firing speakers. In a panic, I sent an email to their support, who responded within the hour with not just some simplistic, automated response, but with a lengthy email including a number of options ranging from creative drywall solutions to returning the smaller speakers no questions asked and replacing them with either a larger straight firing speaker or the aim speaker, both of which used the cutout size that I had mistakenly made. We corresponded a number of times, with each of my emails being replied to promptly and thoroughly. I have several other products that I am dealing with customer service for problems with their product currently. Some are large companies and some small, but each has been wholly unsatisfactory in dealing with a problem of their own creation for months. John at HTD went above and beyond in dealing with a problem of MY creation and solving it. The speakers sound amazing with clean, clear sound and look beautiful installed. Bottom line, come for the speakers, stay for the service." "My brother referred me to HTD, he has a house full of the stuff...listening to my brother's setup sold me. I love the finish quality of the speakers, so not only do they look great, they sound great as well. I was surprised by the excellent blending of the crossover, as well as the deep bass coming from them. I can't believe the great sound!" "Installed these with great ease into our home theatre. I read and researched countless forums and reviews before purchasing these speakers. I couldn't find any bad reviews and I'm pleased to say I've not been disappointed! Great service, very quick delivery and they even called to double check that the quantity ordered was correct." "I've been a customer of HTD for a number of years and will continue to be a customer not only due to the competitive pricing of the products, but the second-to-none customer service. In my opinion the customer service aspect is just as important as the cost of the product and I continue to be impressed with HTD." "Excellent speakers (level 3 bookshelf)! These speakers produce crystal clear clean sound from the deepest lows to the highest highs. You can hear every instrument being played and it sounds awesome." "The tech support couldn't be any better. They responded immediately to my needs. Thank you for taking such good care of me, the customer! HTD has done EVERYTHING right; from order confirmation, very fast shipping and experienced techs for phone support. Thanks again for everything!" "I did a lot of researches and came across a couple threads mentioning HTD so I went to their website and looked around. I found the Lync system and fell in love with its functions. I was looking for a WHA system with built in intercom, and HTD provided the Lync system with that feature, plus more! I want to mention that I had not purchased anything from HTD when I contacted Scott (customer service rep) and uploaded my house plan; but he promptly responsed to my emails and answered/gave suggestion to all of my concerns-best service ever! Set up of the system is straight forward, audio is awesome, the Lynpads are the best! I love the design, simple to use, easy to control but attractive to look at." "Looked around in Australia, nothing compared to the value and capability to the Lync 6...I have installed the entire system now, including the [wireless controller app], and 4 standard input panels. It runs perfectly, does everything I wanted and kids love the intercom." "These install very easy and are very secure.THESE IN WALLS ARE AMAZING!I am in awe every time we watch a movie.Very crisp,controled sound. Very good soundstage with pin drop accuracy.I could not have built these for the price they sell for.It took me a year to buy and build everything [ati amps,diy subs,HTD wire,onkyo pre] .I am very happy with the results.Home Theater Direct is a great company with excellent products that are better than anything you can buy in any store." "Used HTD for entire 12 room new house being constructed, including home theater system. Great technical team to help with the design and implementation of the systems. Great company and products." "Use this (Midlevel System) for whole home audio, it rocks, easy set up and customer service is second to none!" "I installed these 8 inch ceiling mount speakers for my home theater system. The price was considerably lower than the local audio store, so I was concerned whether they would be high quality. I was blown away as soon as I turned them on. Lower priced, but not lower quality. Brilliant sound." "We installed these in the ceiling as rear speakers of a 5.1 surround system in our family room. They installed super easy using the included template. Sound is superior and good luck finding a comparable product at the same price." "We used this equipment (HTD Cabinet and Inwall/In-Ceiling Speakers) for home theater. The clarity, dynamics and the entire feel of the sound is so much more impressive than any theater I've attended... It has genuinely made the entire movie experience better!! Your products are easy to install, robust and perform! I was so impressed by the built in crossovers in all the speakers. The cost is a great value and all my future audio and home theater needs that you can provide are yours. The other day we weren't sure if a thunderstorm had rolled in or one of the kids was watching a movie. That's powerful!" "I purchased a pack of three dark cherry Level TWO center channels, and they are an incredible value. They easily outperform much more expensive speakers. We bought these to replace an old home theater in a box setup that was impossible to hear in our acoustic nightmare of a living room (high ceilings, open all the way through the dining room to the kitchen). What a difference these speakers made! I have to share my wife's reaction. She was panicking about the size of these speakers when they first arrived. While she was pacing the house, I unboxed the speakers and hooked them up. Without changing any of the crossover or distance settings on my receiver, I put in a Star Wars Blu-ray and started the Duel of the Fates scene. After about 30 seconds, I can tell my wife is holding back a smile. I look at her and she says, "these things are so huge! But they do sound better." Another minute, another smirk. "These sound pretty good, but they are so big." A few more minutes: "OK, these sound really good." Thanks HTD. For once, I won an argument with my wife without saying a word!" "We recently had a large family reunion, where we were playing the whole house audio over the HTDNET-MC. As the party progressed, the center of attention shifted to the iPad and the whole house audio system. Everyone was having fun switching from genre to genre on Pandora, all from the outside patio table. And to top it off, my wife controlled a game of musical chairs from the HTDNET-MC. What fun we had." "Crazy rigid design with fantastic resolution! I love my center channel now!!! I really feel that the tweeter location being up higher on the baffle in a T W/W design is contributing to the amazing sound. Awesome and worth triple the cost for me and the sound benefits I receive." "I replaced a pair of ceiling mounted speakers with a pair of the HD-W80 speakers. Fortunately, I only needed to enlarge the holes in the ceiling. A fantastic improvement over the old speakers and I can "rock" the house. Worth every penny." "5 Stars for HTDNET. VERY COOL...EVEN AN OLD GUY CAN DO IT! . . . the directions are very accurate and guide you through the process. I even got my wife set up on her phone and she's lovin' it! The cell phone controls are easy to master and it’s great to be able to control the entire house without moving." "I have been using these speakers outside and unprotected for two blazing hot summers with year round exposure. They have consistently performed exceptionally on all styles of music with clarity and volume. And they still look like they are brand new! All I can say is that I hope you can enjoy these speakers as my family and friends have!" "I did A LOT of research into different systems out there for my WHA (whole-house audio) needs. Many were very pricey, and that's what led me to HTD. Usually deals this good are too good to be true. This one is an exception. I'm writing this after using the product for the past 8 months. And I use it often. The unit can use up to 6 sources but I mostly just use the one I have an airport express plugged into so that I can AirPlay music. Works very well. Now after using it for the past months, I am very pleased. I honestly have no complaints...I'm installing another in my friends house under construction in a few months. So HTD, expect another order soon." "Modest HTD undersells this great product. We have a 6 zone, four sub zone system we installed ourselves in our newly-built home...(this system).. blew me away. Plugged in, hit the link on my iPhone and bam it worked right away. You can control everything from anywhere. how could you have a home system without it?? Super cool." "I am not a do-it-yourself kind of guy so I planned on hiring a company to install a whole house audio system...I discovered HTD.com while researching Cost/Specs/Features of the various systems I was being offered. Not only were HTD products comparable or better in a line by line comparison of Cost/Specs/Features, but their excellent Manuals, FAQ, and Support gave me the confidence to design and install a system myself. I couldn't be happier with the results. It sounds absolutely incredible...So, the point of this review is to let you know that, if you are considering a whole house audio system and you have stumbled across HTD.com, you can proceed with complete confidence. The product quality is first rate and the Customer Service is outstanding. Furthermore, you will end up with way more system at way less the cost. You have found the Holy Grail of whole house audio." " HTDNET-Lync. This thing is great. Can’t wait to see what else these guys come up with." "You are definitely getting your money's worth with the AIM speakers. Build quality is very good...especially for the price." "I ordered/installed 3 HD-W65 and 2 HD-R65 in May 2010 and could not have been more pleased with the purchase. The sound is excellent,...set up was a breaze, ...and the price was terrific. Have recommended these speakers to all my friends - actually, I take that back. I didn't have to recommend them because everybody always asks me about them. Three years later and the speakers still sell themselves due to their outstanding appearance and performance." "I received outstanding customer service from the time I requested a design plan online to several follow-up phone calls to confirm some specifics about my setup / configuration. The shipping department even caught a mistake I made entering the number of products I ordered since the install brackets and speakers weren't paired exactly - saved me time and aggravation. I can't say enough positive things about my end to end sales experience." "The control panel is simple and great for a family with kids and a wife that is not tec savey. I had my IT team put this system in and they said that they could not have bought a comprable system for this price on the comercial wholesale market." "I have become a very big fan of HTD. I have purchased in wall speakers for the home theater, a center channel speaker, a whole house audio system, ceiling speakers and now outdoor speakers. I have never been disappointed. I have recommended HTD to all my friends and anyone else who comes by the house..."
"HTD is the best. Purchased this system and highly pleased with my purchase. Running ceiling speakers to 5 rooms and the sound is amazing. My wife loves it. She has already began entertaining family and friends. Everyone loves the sound. Customer service is top notch. They will walk you through every step if you need them to do so." "I can't say enough about HTD. Fantastic service and fantastic products. I have sent many friends and family their way. I just replaced an old set of Boston Acoustic's with a new set of Level 3's and the difference is remarkable. The sound in our living room is fantastic and now we have our entire home decked out with HTD speakers (living, master, patio, media room)." "I currently have 3 other surround systems in my home, (2) Polk and (1) Bose. The system I purchased from HTD cost the least and sounds the best. I am a contractor who has installed countless systems. HTD speakers are well built and easy to install, right down to the connectors. My next house will have them through-out." "…I wanted good sound with a clean look so I ordered a pair of these (MP-W50) for the rear surrounds. I figured if they sounded good I would then purchase the fronts and a center channel. They sound so much better than the satellites I had and they sound better than I expected them to sound. Installation was very easy. I will be ordering more in wall speakers to complete the set." "I bought this unit (MA-1235) in 2006 when building my house to power all speakers throughout. I have been impressed with the unit since initial install. It allows users to easily configure each output as mono or stereo so each room sounds perfect even if only one speaker has been installed. I would highly recommend it as it's been running almost nonstop for close to 5 years." "I've owned HTD Level (TWO) 7.1 system for awhile now, but we moved and my new room wouldn't allow me to use the surround speakers effectively. So I emaild HTD and they recommended these in wall (HD-W65). I wasn't too sure how they would sound so I was a bit skeptical. Glad I got them! They sound great!! They were easy to install and look very nice, not to mention the wife is very pleased too. Thanks HTD!!!" "I received the speakers three days after I ordered them. I replaced a pair of existing wall mounted front speakers in my home theater. The install was a snap. The quality and sound are fantastic! I would definately recommend these speakers to anyone." "For the money, I challenge you to find a better deal. The sound for these speakers is great. I have these as my surrounds and rear surrounds in my 7.1 system and couldn't feel better about the purchase. Thanks HTD!" "This product has surprised me. The quality craftsmanship and sound is fantastic. I used this sub (Level Three Powered Subwoofer) along with HTD wall speakers and I am very please. Definitely worth the money!!" "Wow, great price, shipped same-day, awesome packaging. I will definitely buy here again and would have no problem referring friends and family." "My audio engineering friends are so impressed with my home theater, they have threatened to break into my home and steal every last one of my HTD speakers/components. I don't know what more to say." "Product came in on time and as promised! The customer service was excellent from order, shipping, invoicing, and delivery. All steps were done so the customer was always aware of when, where, and how the product is getting to your doorstep...I asked lots of questions and they had answers! They provided me with a product that will last for years to come. HTD did not try to over-sell their products. They recommended the correct amount of wire and when installed looks awesome." "The instructions were great, and installation was a snap. The speakers sound amazing--I am very happy I didn't spend three times as much money[...]. I can't imagine my home theater sounding any better than it does!" "The Level Two speakers are perfect. The sound they produce is top notch. The biggest surprise about HTD speakers is how beautiful they are! The pictures on your web site do not do them justice. I ordered the dark cherry finish which is absolutely gorgeous. They look like they should cost much more than they do. You now have another lifetime customer. I will definitely recommend HTD to my friends." "I called the customer service number and to my amazment I got a live body, Scott, who was able to answer all my questions take my order and follow it up with a tracking number. My speakers arrived in Ajax Canada in a week as promised, and I have just hooked them up. All my friends are totally amazed by the sound quality and the price. Thanks for the amazing customer service, a rarity in todays world. 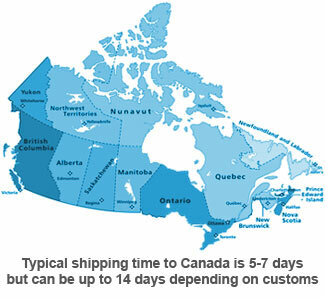 HTD be prepared to get a few more orders from your neighbors up North." "I have been in the customer service business for over 31 years and one of your support reps, Chris, was by far the absolute BEST. No task was too daunting; no question too stupid or repetitive. Chris always dealt with me in the most professional manner possible. From our first conversation, he guided me through the design, selection and install of a robust and outstanding full home AV system. Every step of the way, HTD was there to walk me through the process and made me feel as part of the HTD team. I am now the proud owner of a fantastic AV system that works flawlessly; my wife loves the system as well as our guests. From customer service to product performance, my HTD experience has been exceptional. HTD has exceeded our expectations, provided us with a system that rivals the top in the industry, without the sticker shock associated with a system of this quality. Thank you HTD for your support and mentorship, especially to Chris." "Exceptional quality, fast shipping, great customer support. It may seem hard to buy speakers without listening to them first, but after getting them hooked up and hearing them it was the best decision. Very cost effective, too often overlooked by other manufacturers with big ad budgets. These guys put their money where it counts: building and selling great products." "Just a note to say how pleased we are with the home audio system. The speakers have excellent quality; it seems almost as if a live performance. We listened to CD's all day while working on the house. Picture 22 speakers cranked up to about 70; can you hear me now?" "I just received my order and want to say thank you for the prompt service and great products you sell. I'm excited for a product that has received wonderful reviews from customers and professional critics without selling the hype and very large prices that go with big name stuff. I look forward to doing business with you for many years to come." "The sound quality on every speaker far exceeded my expectations. People come over to my house and can't believe the sound quality at the price I paid. 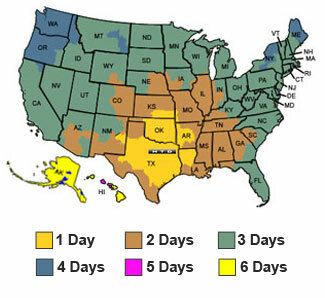 HTD is patient when you call with any question and the multi year warranty is huge plus for me. I know if I have any issues, they will be there to help. Highly recommend HTD!!!!" "IMPRESSIVE!!! You guys are awesome! From the moment I found your website... to the quality of your speakers... to the care in shipping... to the kind and helpful customer service...I am extremely pleased with your company and will gladly recommend you to others." "HTD is one of the rare companies I have continued to purchase from over the years. My first purchase was for level two bookshelf speakers, subwoofer, and a center channel back when your company started working direct with consumers. I was amazed at the value, and quality. My second purchase was for your in wall speakers when I purchased a condo. I then purchased a complete level one system to give away as a gift to a young friend. When I bought my dream house last October I once again purchased your in wall speakers for throughout the house, and a flat panel center channel for the mantle to be placed under my new plasma. Once again I was completely satisfied! This Spring we are completing a deck outside, and I just purchased a set of your Q-65 outdoor speakers. HTD does a great job, and the best part is the service, and quality you get for the price, it far exceeds anything you get at most retail audio stores. I never hesitate to turn my friends on to HTD, and all that have purchased have been completely satisfied!" "Very very happy with the service and the product. Customer service is the best I have ever dealt with. Simply outstanding. They have made me a customer for life!" "This is the second time I have ordered from them, the first was about 5 years ago. The in-wall speakers are even better than 5 years ago. Don't waste your money on the likes of other name brands, these speakers blow them away in quality and performance at less than half the price. Thank you HTD! Truly appreciate your helpful service and products." "I have purchased 2 Home Theater Sets, 2 sets of outdoor speakers and have been increasingly impressed with every aspect of the company with each purchase." "I purchased 2 pair of 8" ceiling speakers and 1 - 6 1/2" speaker for a center channel speaker. The sound is incredible!!!! I would recommend these speakers to anyone. These speakers are one of the best electronic investments I have made." "I recently purchased In-Ceiling speakers for my family room, patio and master bedroom. In addition, I purchased a Level 3 Sub and a Panel Speaker for a Center Channel in the family room to make a complete 5.1 surround system. I had some questions and frankly some concerns about buying so much without hearing them first, but the person I spoke with was so knowledgeable that I went ahead and placed my order over the phone. Everything arrived as promised and in great condition. I was surprised just how easy it was to install the in-ceiling speakers. But the best part is all of the speakers sound FANTASTIC!!! I am extermely pleased with HTD and will definitely use them again." "I bought from HTD 3+ years ago. Was happy then and am now. They continue to introduce new products. I just moved to new house... time to outfit this place with HTD products. Thanks for the quality and value." "I located HTD with a web search for ceiling speakers, and found a product I thought would meet my needs, but had questions. With a phone call, I got a helpful and knowledgeable response to my questions, as well as some good suggestions. I placed my order and received the product a day later. I received a far superior product than I'd seen in the electronics stores, at a way better price. The personal contact sealed the deal. I'd recommend HTD to anyone." "I highly reccomend HTD if you are looking at high-end home theater equipment. If you are looking at home theater in a box systems, save yourself some money and look at HTD. The speakers I purchased sound like they should cost 2-3 times as much. I'm absolutely satisfied with the company, people and products." "Great experience. Started with questions on the phone and was so impressed I stopped looking around. Great work!" "I cannot say enough about HTD. It is my second purchase and I am already making plans for more. The amp works beautifully, and the outdoor speakers sound fantastic, I am blown away by their sound. Your warranty is great and so far, customer support on the phone has also been great. Keep up the good work. It is nice to actually find a company that cares about the products it sells and the people it sells to. Thank you." "Everyone I spoke with at Home Theater Direct was courteous and knowledgeable. I had to call with a few technical questions and they responded quickly. The packages arrived double-boxed, which ensured that the speakers were in perfect condition. The quality of the speaker construction is spectacular, and the sound quality is even better. These speakers are far superior to anything you can buy at a local electronics store. Thanks for a great product at a great price!" "Superb product, price, performance, and quality of construction. For the price, these speakers cannot be beat." "Everything was good, but the amount of time they were willing to spend on the phone with me working through any issue I encountered was extraordinary. I believe I just received the kind of customer service my father used to tell me died in the 50s. I just wish they sold more than audio equipment." "I was very pleased with the speakers that I purchased from HTD. The quality of the speakers is high and the price was outstanding. I will definitely purchase more products from this vendor." "I purchased the Level TWO subwoofer and one set of Level TWO main speakers to replace 12 year old Morel speakers. The Morels were state of the art when I bought them, but I find I like the Level TWO system even more. Setting up the sub for best sound with the main speakers turned out to be easy. Excellent sound! I'm very pleased!" "Great site to learn about and buy the best high quality home theater components at the best price. Excellent real customer support before, during and after the sale. My speaker system sounds great [Level THREE Set] and I saved a ton by going through HTD." "Thank you very much for your assistance in color-matching my new HTD speakers to some custom stands. Even before this extraordinary service, I was recommending people go to your site to get their speakers and now I have even more reason to send business your way. Outstanding!" "I just received my first pair of Level ONE speakers in white. I took a chance to see if $39/pair speakers would cut it. I did not expect much for that price, but they are now installed on my deck and they sound just GREAT! What a bargain! I will be recommending them and the other HTD speakers to my friends." "Thanks for your prompt reply and professional advice! And now I'm going to really spend some time and try to follow your suggestions. Have a good day . . . your response made mine!" "Excellent rating: I felt I got a good product at an excellent price, accompanied by great customer service. I will definitely shop there again." "The service I received was excellent -- quick responses, detailed information and quick delivery. Brian was as helpful as if I had been in the store. The speakers are already installed in my new home awaiting my retirement. Thanks!" "Thank you for the prompt service and consistent communication. It means a lot to us consumers that you take such pride in your product and service." "Thank you for your prompt and honest response to my order status question. In this day and age, it is VERY RARE to get this type of customer service at a retail store, yet an internet store. Keep up the good work. I will definitely recommend your company to anyone I know that is interested in buying a set of home theater loudspeakers." "Thanks so much for all of your help!! You guys are fantastic! I'm definitely recommending you to my friends." "I have not ordered from the net since Xmas but Home Theater Direct convinced me to start ordering more often." "Excellent Rating- I was really impressed with the quality and prices of your products. Thanks!" "I asked a question via email and was surprised at the prompt response I received. Not only did my Level THREE subwoofer arrive in a timely fashion, but I'm extremely pleased at how great it sounds when attached just to the TV!" "I couldn't be happier with the experience and the speakers. I look forward to buying products from Home Theater Direct again in the future." "HTD had the merchandise shipped sooner than I expected. It was double boxed and the product was even better than I expected. I have been recommending their product." "Superior quality and excellent service. I have told several of my friends about HTD, and they have already placed orders with them with the same excellent results." "Quality of the product I purchased is exceptional, and the shipping really surprised me. I ordered on Sunday and it was delivered the following Tuesday." "I continue to be blown away by the Level THREE Mains when listening to music. I also got the Level THREE Center yesterday to round out the set and the system sounds excellent. Thanks again for the excellent products and customer service." "The Level THREE is the best in-wall speaker I have installed. Everyone who hears them wants a pair or two." "Great product, incredibly fast response and shipping time!" "I am not an audiophile but I did want a good sounding system that left a few bucks in my wallet. I got great customer service and the speakers were sent the same day as ordered. I definitely recommend HTD to anyone looking for quality speakers without the resources to pay for it all." "Excellent rating. I will definitely recommend HTD to my friends." "I just received a Level THREE Center Speaker. I don't know how you can get away with selling these speakers at this price. A friend of mine is looking for a set of speakers and now I can safely (and enthusiastically!) recommend HTD speakers to him." "The [Level THREE 5.1 Speakers- Dark Cherry] are EXCEPTIONAL!" "I am very pleased with both the product and the service. I really appreciated the link they provided me to UPS to see when the product was supposed to be delivered and it was right on time. I have already told my friends about HTD and I look forward to doing more business with them in the future." "They were very prompt on processing my order and when I called with some questions they were very friendly and informative. I would not hesitate to deal with these people again." "Great Price . . . Great Speakers. Thanks HTD for such super service!!" "Excellent rating- Great personal attention and advice." "I purchased the Level One 5.1 Speaker set for my home and the sound is amazing. It performs well beyond my expectations for surround sound. This is such an inexpensive set that I wasn't expecting much. After some tweaking, I've been able to get my music CDs to sound great as well. Customer service was quite helpful with the questions that I sent via e-mail. When it comes time to upgrade, I won't hesitate to look up HTD again." "These speakers are great!! I would highly recommend these speakers to friends." "The personal service is excellent, the pricing and packaging is excellent! I will definitely do business with them again!" "Very quick response to emails that I had sent them and helpful. The speakers talk for themselves, and oh boy do they talk! I would definitely recommend HTD to anyone looking for speakers." "Everything was great. The sound from the speakers is much better than expected." "I was amazed by the quality . . . you can't even see any hint of a seam on the cabinets." "Wow! At the prices you offer, I expected HTD to throw stuff in a box and send it; however, I was pleasantly surprised. HTD gave my order personal attention. I was impressed that my calls mattered." "HTD was very easy to work with. They dealt with my complicated order efficiently and shipped the same day. The Level THREE speaker system I purchased is outstanding. Thanks HTD!!!" "I will definitely be making future purchases with you!" "I listened to a lot of in-walls since my wife won't allow anything on the floor. I finally settled on PSB 6X6.1 at $750/pair. I tried Home Theater Direct in-wall speakers [AL-W80] and they are surprisingly good. They are so close to the PSB that I am using them as surrounds since they both had aluminum dome tweeters. The money I'm saving is going into buying an SVS sub." "The acknowledgement was prompt, the shipping fees quite reasonable and the shipment was received when promised. HTD is an excellent company to deal with online." "The product is incredible, it exceeded my high expectations. It was shipped promptly and I don't think eggs could have broken in the box, it was packaged so good." "This organization is 'first class'. They have great advice, take the time to explain concepts and products well, and their follow-through was outstanding. Their website is helpful, and sales people were consultative rather than pushing me into a particular product. I have referred HTD to several friends, who have already made purchases there." "Thank you! Thank you! Very quick shipment in perfect condition. Easy to read installation instructions and more importantly, easy installation! The Speakers sound GREAT too! Better than expected performance on everything. A great deal! Thanks again!" "My questions were answered immediately and they worked with me on my specific needs. My order was recieved in perfect condition. I was a bit hesitant to order speakers from a brand I did not know, and from the internet. The price was incredible, workmanship is beautiful(cherry), and the sound is.. *WOW!*. I expect my friends will be ordering from HTD as soon as they hear them." "The best speakers (level 3 towers) under 1 grand, easily! Equals many costing up to 1500-2000 per pair. Outstanding bang for the buck, many kudos, nice job. Service is top notch, honest, quick, outstanding. Impressed from start to finish and I am still ordering more! Keep up the awesome job, highly recommended!!!!." "Fantastic!!! That says it all. The service, products, and quality were all that I could ask for!! I would send anyone to HTD for products. Other internet companies should base their companies on HTD. Thank you." "The order arrived earlier than I expected and the speakers are great!!!" "HTD is a first-rate company. The guys there are very pleasant to deal with. This was like my 4th trip to their Headquarters in Allen, TX, to demo and pickup my orders, and they've been extremely helpful pleasant to deal with each time. I've now ordered (either for myself or for friends) a set of Level 3s, 2 Level 2 bookshelves and a center, as well as a pair of Level 2 outdoors. They all have been great and are worth every penny and more :) I'll be looking to purchase more stuff from HTD in the future." "They are Fantastic, they were very knowledgeable about their products and they were nice enough to walk me through the wiring of my speakers. A+"
"Received my order, just as scheduled. Could not have been any easier. Speakers look and sound great. Will be ordering again, I am sure of that. I had been referred to this site from my friend in the neighborhood, and I have already referred somebody else, and will certainly refer again." "The merchandise came complete and is very high quality for the price. I could not be happier." "The service was excellent. I had reason to call the toll free service number for some advice. I was given the help I needed for inwall speaker installation plus a lot of information on placement, wiring, and almost everything else I could think of. the young man I talked to was so helpful, that I purchased two more for rear speakers. although I have not finished the install in a new house, I will be calling back to let them know how it went. I'll ask for him by name. You know who you are- thanks guy!" "Ordering was easy and delivery was prompt. Installation was very easy and the sound is great. A true value." "Better product than I expected...At a fraction of the cost compared to the over-priced competition." "Telephone consultation re:speaker placement was more helpful then the attention I've gotten in local NYC stores, and the prices were great." "Their on-line ordering is among the best I have ever encountered. Excellent interface and feedback, including their interface with UPS. I'll definitely order again when my wife lets me spend some more money!!" "The entire process was a great experience. The co-operation, selection assistance, ordering, timely delivery and after sale assistance. I wish all my transactions went that smoothly." "I wasn't sure if the pricing was too good to be true or if there was something suspect about the quality. However, after taking a leap of faith... from the first call to the delivery, HTD was excellent! The product sound/quality is as good as I had read and every bit the quality that I was told to expect. The shipping was prompt and the new speakers sound wonderful! Overall I would rate the people/speakers from HTD a 5 out of 5 and would highly recommend them to anyone looking for high-end speakers at a price that we normal people can actually afford. Way to go HTD, and keep up the great work!" "What a great product! Let me tell you how impressed I am. I ordered 2 Level 1 In Wall speakers plus a Level 2 Center speaker and I was blown away with the performance. I then ordered 2 Middies for my front left/right speakers to replace the Sony speakers I had. Your customer service guy stated the Middies would blow away the Sony's. Well, he was right. Keep up the great work, good prices and a warranty that makes it hard to say no." "I have purchased from HTD three times in the last 1.5 years and this is the best online dealer I know of. Their products are excellent, the staff is knowledgeable and friendly. Every online store should be this good." "Excellent product, great price, and extremely fast shipping. I ordered 5 in-wall speakers on a Monday and received all 5 speakers that same Wednesday. Speakers sound great and I could not be more pleased. I will be buying more from Home Theater Direct!" "Excellent experience overall. Best prices. Excellent speakers. Plain English installation instructions. Couldn't ask for more. Well done!" "My order from HTD was perfect. Their pricing and quality are fantastic. I purchased in-wall speakers, a subwoofer, and cable. In my opinion, they match the sound and quality of brands/models in local stores but at a significant savings. Of particular note - the subwoofer finish is much nicer than I could find locally without spending hundreds of dollars more. Great pricing. Great quality. I definitely recommend anyone putting in a sound or theater system give them a strong consideration." "These speakers for the price are phenomenal. I would definitely purchase from this merchant again." "Thanks HTD, I absolutely love the in-ceiling speakers and center channel I ordered from you guys. The order was shipped the day I ordered, and was at my front door, two days later. I tried them out with the movie I,Robot. I sat back, turned out the lights, and actually thought I was at the movie theater. I really love the fact that I can get this type of sound, and keep the room looking very clean. I don't think I could get a better sound from the more expensive name brands out there." "HTD has the goods! I have 4 of the AL-R80 in ceiling speakers, 2 Middies as fronts in my surround set up, a level II center, and a level II sub. They all sound equally great for stereo and surround. When I asked for help, I received knowledgeable, friendly, practical advice that I could use. Keep up the good work HTD!" "The ceiling speakers sound and look great. Service before and after the sale is remarkable. Though a 5 is the highest rating in this system, HTD deserves a 10 in my book. I will be back for more down the road I'm sure." "The service was outstanding in selecting the right speakers for my system and room layout. They did not try to sell me their best speakers, but rather those that fit my system best. I received the speakers in an extremely short time. I suspect they were shipped that day. The quality of the speakers surpasses that of my more expensive Bose speakers. I highly recommend this company for obtaining top quality speakers at a most reasonable price." "This is a fantastic company and I am a repeat client. We build custom homes in Southern California and use HTD speakers in every house we build! I order from the same person every time who is professional and courteous. I am the buyer for my company and have done my homework- you won't find anything better than HTD for the price, quality and all around satisfaction." "Excellent products at a low cost. Don't waste your money. These guys sell only the best at a price that seems questionable at first glance. Don't be fooled. I have ordered from HTD many times and the products always exceed my expectations." "This is my second order. Im really surprised just how fast their shipping is. Great products and great service. Prices are fanstatic - can't be beat. Why order any place else?" "The price is so good that you dont expect the quality to be awesome. Well, it is awesome. I wont go anywhere else for speakers." "I have wanted HTD Level 3 speakers for about ten years but, for various reasons, did not have a suitable space to install them. I always found myself thinking back to the claims from your company about better speakers for the money, as a result of selling direct and the fact that the company is owned and operated by people who genuinely care about the sound of the audio that the products reproduce. All of that turned out to be true . . . The HTD Level 3 speakers that I received exceeded my expectations. From the beautiful finish to the amazingly clear and unadulterated sound production, I was literally amazed . . . Recently, I made contact with Darin, who I must say is one of the most knowledgeable, patient and forthcoming people that I have ever dealt with. Not only in the audio space but in any business. He is an amazing resource and a testament to the mission of your company." "I may be a budget shopper, but I go for the good stuff. I have been running 7.1 HTD Level 3 in our theater with three levels of seating and there is no bad seat for clean, clear sound for a music CD and a well recorded movie will rock the seats. So when I needed in wall speakers and an under sofa sub for the up stairs TV room, HTD was my go to for the best stealth wife-approved (No visible speaker boxes allowed) sound for the money. While I was paying shipping, I could not resist adding these patio speakers to the deal. These patio speakers separated by a large floral arrangement look classy on a shelf in our formal library/office and rock the BEST sound for the size in doors or out. Who would have thought that my decor conscious wife and my picky ears would find common ground with patio speakers in the library?!!! Not to mention, HTD beats out the best Polk patio speakers on our deck for sound. Acoustical physics never change, but with better, more powerful magnets and precision computer engineering for digital sound reproduction, HTD engineers have knack for spatial mathematics, great design, and a direct sales business plan that provides superior sound on a commoner's budget!" "Serious Speakers. Eighteen months in my new home, driven with 75 watts in stereo music mode coupled with a subwoofer I can't believe the room filling quality sound for the money, simply can not be beat." "This is the second system [mid-level] we purchased from Home Theater Direct. The first system performed so well that we had no hesitation in purchasing a second for the new rental cabin we are building. We expect to stay with Home Theater Direct as we build our rental business. Great product, support, and delivery." "Excellent quality in-ceiling speakers. I ordered the new HDX model in-ceiling speakers thru the pre-order program for a Dolby Atmos configuration . . . the speakers are excellent quality pieces. I already had 7.2 cabinet speakers and these new four ceiling speakers have tonal match to them. I sometimes play them just on stereo mode for music overhead and their sound reproduction is great . . . worth the wait." "Customer service is the best in the business and their products are as well!" "Recently I bit the bullet and purchased a Level Two Powered Subwoofer. My system was an older version so it took a little work around to get it wired but once it was going, AMAZING. It's like a whole new sound system and literally 'rocks' the house when it is on. The auto shut off feature ties directly in with my HTD system so it really is 'plug and play' (aside from wiring). It is adjustable so you don't have to rattle pictures off the walls, but it's sure fun to do!" “HTD offers high quality affordable audio. I have installed speakers in three different homes all with terrific results." "I could not be happier with my choice. [These have] Amazing soundstage and imaging and boy do these get loud but never harsh. Tried them out as two channel music speakers along with a small sub and could not believe the clarity and depth they brought to my music library...All my old music sounds new and exciting. At the price point these speakers sell for this is the best deal in audio available today." “One stop shop! I installed two home theater systems and put speakers in the sunroom, on the covered porch, in the bathroom and bought all my equipment from HTD. From the volume control switch to the speakers, including all the banana plugs and plates. It is totally awesome. I put the big 8" speakers outside and boxed them in the ceiling with insulation like they recommended and the sound is amazing. A ton of bass and crystal clear xm radio. I recently built a man cave in my garage and needed another switch/dial for the volume control. Only one place to go, HTD. Love the products, great price and great service. Lifetime customer." “Hands down best in ceiling speakers period! Fast shipping, easy setup and the sound quality is AMAZING!" “The perfect solution!! The MCA-66 unit gives me the ability to control volume and turn zones on or off from anywhere in my home with the app and the sound quality is better than I expected . . . I'm so happy I found this product and decided to give it a try!" “Fantastic sound, great quality, and outstanding value! I recently upgraded my HTD MC-86 system to the new Lync 6 system with amp and controls. I couldn't be more pleased. The sound is fantastic and the setup was straight forward. I am doing a few "extra" things like running multiple amps, bridging, and switching speakers. When I needed any technical support for something unusual, it was fast and right to the point. This is a great system with a fantastic price point. The manuals are clear and most people won't require any support, but it is nice to know it's there if you need it. "WOW...HTD IS WONDERFUL. I sent a copy of my house plans to HTD, they designed an entire home audio system for me. Their technical support is outstanding, their service is outstanding, their product is outstanding. The options are endless of what all you can do, there is no doubt I'll enjoy this for years to come." "What a Great Product! Easy to install and sounds AWESOME! Everyone has been impressed with the sound and looks of it. Quality is GREAT! Thank You HTD.com and Daniel (Support Rep) for all the help with my questions and providing me with a Superior Product and Excellent Customer Service. Those of you thinking about buying it, just go for it.... you wont be disappointed using this at home. ENJOY! HTD.com has a customer for life." "I’m using [the HD-R65AIM] as my height speakers in a 5.1.2 (atmos) system. These work great and can be directionally adjusted if need be. The sound is great and the build is solid. I'm using these with my level 3 towers, center and sub from past purchases. I really like HTD and their stuff. It's not junk!" "Purchased new home and passed on the builders choice of system. Had whole house audio completely roughed in. I did plenty of research on in ceiling speakers. This was by far the best price and can now say it saved me over $8000 doing it myself with the support of HTD. I have installed 11 Speakers and 2 volume controls. The 7.1 Surround is just amazing. I had couple of questions and they answered thoroughly. The family wants to now go back and re watch all the movies on the new system. Cant wait to entertain guests with this setup." "[My most recent] purchase was my 5th set of speakers to buy from HTD. I am a researcher, and when looking to purchase in wall speakers I visited all the large retail chains to compare prices and quality. As usual, as the quality went up so did the price. This is when I found HTD and campared their speakers to major name ones. I have been VERY happy with their product as well as several friends of mine that I referred." "I researched this purchase very carefully and I'm glad I found HTD! The sound quality is the equal of any other "high-end" brand I have heard, the build quality is excellent, and the imaging is precsie. The R65AIMs were perfect for a 7.1 surround installation where there was no room for wall or stand-mounted speakers. I enthusiastically recommend these speakers!." "I was very skeptical but ultimately decided to buy 5 speakers and a subwoofer. I couldn't be happier. Nothing comes close for the price, and the quality is outstanding. I'm a customer for life." "Excellent, attractive speakers with good sound across entire frequency range. Not a big fan of logos? These grills are nice and clean looking." "This (Lync 12 set) is an awesome upgrade to our whole house audio system. 5 stars is not enough! I love the new keypad design and the RS232 feature is making integration into my home automation system very nice!" "I love this product. I recently renovated my condo, adding multiple speakers in multiple rooms. I was told by others that there was no single system to control the speakers. One quoted 20 thousand; another big box place wanted over 10 thousand. They both said that I needed to use Sonos with multiple Sonos amps. I am so grateful that I found this system. Also, the technical assistance that the folks at HTD provide is superb. As to sound quality, I can only say that I am ecstatic with the purity of the sound. I purchased with this multiple pairs of HTD in ceiling speakers, a set of books shelf speakers,and marine speakers for a balcony. They all sound amazing. Thank you HTD! I was able to accomplish this at less that 30% of the 'lowest' quoted cost from the others. I will highly recommend you to others. I already referred you to my contractor and suggested he offer your system to the homeowners that he works with." "I purchased these speakers last month. I like clean sound from my speakers, and these sound great. I have always liked good sounding speakers, problem is good sounding speakers can cost a lot. Thanks to the internet and reviews you can find the best speaker in your price range. And that is how I found these 3 level bookshelf. These speakers are great, they sound like speakers that cost twice as much, very happy with these." "Bought the amp for multizone(5) home system. The sound quality and power (it Cranks!) are excellent! Plus I like the personal service at HTD. I searched the web for a multichannel amp. Saw the HTD webinar ... liked the idea i was buying a unit from the guys who designed it. So if I have an issue (not that i expect one)I can speak directly with someone involved with HTD. Not a help desk." "Best Purchase of 2013! I purchased the mid-level system (MCA-66). My house was pre-wired for whole-home audio and I've been shopping around for over a year. Finally made the decision to go with HTD. I can't say enough great things about the system and the company. Mike helped me out a lot, and the online videos were a huge help. The system works great, does exactly what I was looking for at a reasonable price, and I was able to install myself. I can now listen to music on every level of my home, and I'm looking forward to Spring so I can set up the patio and garage. The HTDNET is awesome - well worth the extra money." "Excellent product, very full rich base. Install instruction were straight forward and easy to follow. Very satisfied with the quality of the product. I am now a devoted customer. Cannot beat the quality and price. Packaging is secure. Quality product. Bought high-end speakers for one room of the house which were almost 10 times the cost and had excellent reviews. I put the [HD-R80's] in the rest of the hours (9 rooms), Now that everything is installed I can barely tell the difference. I asked my son to listen to the rooms and tell me which one had the more expensive speakers, he could not tell. Can't beat the quality, can't beat the price." "We bought this system to install it in six rooms in our home [...] we wanted music in our entire house all the time and this purchase has been the best addition for our house. We got the hd speakers and cable from HTD, we got everything that we needed from them. Their customer service was outstanding, They made the process very easy. We definitely are recommending it to our friends and family." "I had found HTD when looking to purchase a whole house audio amp back in Jan 2013 when a buddy pointed me to their amps with HDNet component for web control of the controller for zones and sources. The product quality and service led me to look at HTD when searching for a nice 5.1 system that would also function as a 2 channel listening environment for a new home theatre project...After the research, I called HTD and spoke with a very helpful sales person who spent a good amount of time dealing with my inquisitiveness. I finally took the leap and ordered the entire Level 3 5.1 package with the bookshelf speakers for the rear...Needless to say, I'm very happy and satisfied with the decision to order from HTD and the L3 quality. The product quality is excellent and would satisfy almost any level of sound and aesthetics; If you're on the fence, take comfort that HTD will meet expectations, and if not, easily take them back during the 30 day eval. Thank you HTD"
"This amplifier [DMA-1240] worked great and was cost effective, best buy came out and wanted me to get 2 amps at $1400.00 each, this did it for 1/3 of the price and still have 3 open channels I can add, I have never hooked up anything to a sterio before and it was very easy. What a joke Best Buy, I did it all myself!" "(Midlevel System...) Sounds great, it impressed everyone at its first party! The ease of operating the system is a bonus when operated by more than one person in the house - you don't have to keep explaining how it works. The HD speakers we added blew away the ones we had pre-installed previously." "As soon as I opened the box [HD-W65] I was very pleased with what I saw. The cross over network is very well made. . . and the quality of construction is excellent. I have seen many electronic assemblies . . . and this construction is one of the best I have seen in a long time . . . The speakers themselves are high quality construction as well. The first time I turned them on after mounting in the wall I was very impressed with the sound . . . The switchable high and low freq switches was an easy way to tune it just right . . . I give HTD my highest recommendation, and will be a customer for life." "I use the product (Level Three Tower Speakers) mostly for 2-channel music listening. They handle every form of music I throw at them with finesse...High level of design and craftsmenship at this price point and competes with much higher cost designs for sound and quality." "Just got a pair of the HD-R65 as a Christmas gift for my rear speakers in my man cave surround sound setup. The installation was extremely simple and the sound quality is great. A week later I bought a pair of the HD-R65AIM for my front speakers. Again, installation was extremely simple and the sound quality is great!!! Do not hesitate to buy these!! Great bang for the buck!!!!" "Being a true automation 'do-it-yourselfer' I was ecstatic to find HTD's Lync12 system. We have 12 zones and 54 speakers inside our home. We prewired with CAT6 throughout. It literally took three hours to unpack, wire, and program the unit. Worked first time right out of the box. It's wonderful!" "I should point out that initially, I was hesitant about HTD because of the web-based, direct-to-consumer approach. I was pretty concerned about getting screwed. Ultimately, I found enough independent reviews about HTD and their products that I felt like the risk was low. I couldn't be happier with the service, and I feel the products perform well beyond their price points." "The ultimate home theater package. I was looking for an intense home theater speaker system, including a powerful enough subwoofer to be "that" annoying neighbor. I found it all at HTD. I got three HDW65 speakers for the front and 2 HD-R65 speakers for the rear. I also got the Level Three Sub. To wire everything to my Receiver, i also went with HTD and got the CBL-PL2 speaker cable. I was running speaker cable through my attic, where there was electrical, tv, telephone, and network cable. Considering these interferences, i wanted well shielded speaker cable to avoid distortion, and was extremely happy with its quality. The speakers deliver clear and loud sound, impressive bass (without the sub), and the directional tweeter is a great and noticeable feature. They install with ease and are very secure. The subwoofer is exactly what i wanted and more. I have been a car and home audio enthusiast for over 20 years. I've used a lot of brand names, expensive and average. The HTD products deliver hi-class results, which you would expect at much higher prices. The customer service is very helpful, and i had an overall perfect experience with HTD." "I purchased the in wall sub (HD-IWS10) to complete my 5.1 system - I already had the HD-W65 as the front speakers, the middy as a center, and HDR65 as the rear channel and was very satisfied with them. Adding the sub has taken the system to a new level. When the kids play the Wii it seems like they're at an arcade, watching movies is fantastic. The system sounds as good as any I've heard and at a fraction of the cost. Installation was a breeze and the staff at HTD was fantastic in answering all of my questions." "I used 5 of these in wall speakers (HD-W65) to complete my 5.1 surround sound system in my new home. I have an 18 foot cathedral ceiling with hardwood floors and the sound from these speakers sounds fantastic! Service from HTD was fantastic as well! Product shipped quickly and communication was Great! Would highly recommend them to others." "Worked perfectly right out of the box. Setup is a snap and my system needed no tweaking... Sales rep was very helpful and didn't sell me or push anything I didn't need or want. If I had to do it over again, I wouldn't change a thing. Great product and even better company with which to do business." "This was not my first purchase from HTD and certainly won't be my last. As always the products are top of the line and all that I have come to expect from this great company. Why anyone would pay (huge) amounts of money for some silly brand I have no idea." "I have been wanting to upgrade the speakers for my home for a few years. I read about HTD 4-5 years ago but was unsure. Finally in December '09 I decided I was going to take the plunge on speakers and couldn't resist at least trying HTD because the price was right and there was a 30-day guarantee....I'm glad I finally purchased HTD. The speakers are packaged INCREDIBLY well. Movies REALLY come alive. If you buy from HTD you will not be disappointed." "Prompt delivery as always, well packaged... HTD is among the top internet merchants." "If you are watching your tv and listening to your tv speakers........stop! Purchase these, spend a few hours installing and feel the difference. Did center channel first, then front, then rear. HTD helped me plan my entire system and I now have full surround and two outside speakers for under $500.00." "First off, the packaging is amazing - double boxed, speakers wrapped in cloth bags, [...] These speakers are truly beautiful. The sound is ridiculous. I just hooked up the towers first, and I could not stop grinning. The depth of the sound was amazing! !...Next I hooked up the subwoofer. WOAH!!! This thing pumps!!! ...HTD is a great company to work with...this is TOP QUALITY stuff. " "I asked the professional that I hired to install the system to review the product before I purchased it. He sells another product and of course would have liked me to purchase equipment from him, but he was an honest guy and researched this product for me prior to buying it and he said he couldn't find any negative comments to say about it. He told me he couldnt even come close to getting that type of system at wholesale cost for himself. I made the purchase and had him install it for approximately one-sixth of the price quote my installer would have charged for his product. I am a very happy customer!" "I am not a very technical person when it comes to this stuff, but I found out it doesn't matter. The support person that helped me with this was amazing. He went above and beyond just hooking up the system. Once up and running, I was amazed on the sound and functionality of this system. With this system, I am still paying less than my local dealer that has a 3 zone VOLUME ONLY home audio system." "I'm thoroughly enjoying my mixed Level2/Level3 5.1 set, using Level3 bookshelf front speakers and subwoofer, Level 2 center and rear bookshelfs. It's like blowing the dust off my music collection. The amount of detail and imaging is absolutely amazing. I am using the system for movies, music and for mastering audio - they sound that good! . . . Also, the customer service could not be any better - knowledgeable, friendly and extremely helpful. I've been spreading the word about HTD among peers, and I look forward to doing business with you in the future." "First time customer and will be back soon. Great service, prompt delivery, great packaging and instructions - exactly as promised. Added another room with pair of 8" aluminum ceiling and also Q65 on patio to our existing home audio system and the HTD speakers sound better than the Bose that were already in other rooms. Great products/cheaper than Bose prices - We really could not be happier and are going to do the media room next.....I really appreciate the advise on how to impedance protect my expensive stereo system - uncovered potential issue with original set up. I just fired the local home theatre "expert." Thanks again!" "I just took delivery of some Level 3 speakers (center, towers and a sub). This is my first set of quality speakers and I am VERY impressed. The sound quality is nice and clear. The quality and craftsmanship put into each piece is outstanding, far better than anything else I saw in this price range while I was shopping for a set of speakers." "We spoke two weeks ago in regards to speakers and your suggestions couldn't have been better. We are extremely pleased with the speakers. The sound is more than fantastic. Movies are now more fun to watch. At first I was skeptical of the HD speakers but man they sound incredible. And your suggestion on the center speaker was spot on. You can be sure that I will buy from HTD again. My brother is buying from you guys . . . he was blown away by the price and quality of product. Thanks again for the help." "I recently purchased the Advanced Whole House Audio System. We could not be more pleased with the system, your people and your company. The versatility, quality and adaptability is incredible. I hooked up my Bose Lifestyle system to the HTD system and now I've got all the functions of the Bose system throughout the house. I have recommended your system to many people. Keep up the good work!" "GREAT Speakers!!! After a little skepticism, I finally purchased your Q50 outdoor speakers. Was I blown away! They sound so crisp and clear and LOUD that I could probably annoy my neighbors really fast! As an electrician by trade, I have installed a lot of speaker brands and these definitely beat the competition. Anyone with an ounce of doubt should listen to all of the good feedback you have received and make their purchase!" "Unbelievable sound in the 'Great White North'! Thank you HTD. Five HD-R80'S, one Level THREE powered subwoofer and Customer Service which was priceless! The system is better than my Bose system ever was. Thanks for everything." "I would first like to say that I do not usually write reviews for products that I purchase. I feel that it takes way too much of my valuable time. For this product/company I will take a few minutes to speak my mind. First, I spent weeks looking for the perfect set of speakers that not only fit my budget but were of great quality. While on vacation in Florida, I decided to hit Google one last time. I found this company HTD and what they had to offer wowed me. I pulled out my credit card to purchase a set of the multi-purpose speakers and made it to the confirmation page that discusses the shipping and handling. I found out that this company was only about 30 miles away from me. So I called and asked if I could come by for a sound sample. After listening to the HD speakers, my wife said oh no get these (the HD's). Chris was very patient and accommodating. He answered all of my questions and even talked me out of ordering products that I did not need. Chris did however lie to me. When asked how long it would take to install the speakers myself, he stated about 20 minutes per speaker. It took 10. The directions were simple, and by the end of the day, I was home watching my movies in HD and actually feeling the sound from these speakers. This is a slam dunk buy. These are great speakers, backed by a great bunch of guys. I have told everyone I know to get their audio equipment from these guys!!!!! Thank you HTD!" "I searched forever online to find a good sound system on a tight budget. I'm soo glad I found your web site, because I got an EXCELLENT sytem, that I'm very excited about. I will promote your company to everyone that hears my system and says "WOW"." "This was the best Customer Service we have EVER gotten. No fooling, these folks were knowledgeable about their products. True Audiophiles, with a great concept. The personal assistance we got was remarkable. Every time we called for help we got to speak with real live people who seemed totally focused on ME, the consumer. We will recommend HTD to anyone and everyone we can! They couldnt pay us to be more impressed! Seriously." "HTD's products and prices are the best on the market. I was very happy with the ease of ordering on their website and the quality customer service. I will certainly purchace from them again." "These guys are great. I have owned the Bose in-wall, NHT, Advent and various other speakers and these sound as good or better (especially in on the low range of the sound) than any of the above. In addition, I bought a pair of the outside speakers and they sound better than ANY I have owned. Great service, great price, great product!" "Very helpful. Best help of all companies used in installing our home theater." "Based on other online reccommendations I purchased HD-R65 ceiling speakers and have been very impressed. They are well made and the sound is terrific. Would definately buy them again. I also purchased the amplifier and speaker selector and have been more than satisified. Customer service is excellent and any questions were answered on the phone. If you are considering speakers you should give these a very hard look. They have a 30 day return policy. I wont be sending my speakers back!!!!" "Although I rated HTD with all 5s, I think it is important to highlight one area that would merit a 6 if one were offered. I called the customer service number and spent nearly 30 minutes discussing products and options for my home. The gentleman I spoke to was extremely knowledgeable and very hepful. He also eliminated any concerns that I had that buying a less expensive product meant buying cheap, poorly-made stereo equipment. Feel free to shop Home Theater Direct with complete confidence." "This is the first time I have ever felt strongly enough about a purchase to write the vendor. You sold me a level 3 sub, towers and center speaker from your "B" stock. Hooked them up to my Denon 7.1 and moved my Polk and Infinity speakers to the back/side. This is the most incredible sounding system I have ever heard! Wife said I could never outdo the local theater. Just did! After a little fine tuning, I brought over my next door neighbor, (who just spent $3500 on a Bose system). He was absolutely sick. We spent 2 hours going back and forth between houses trying to find something his Bose could do better. There isn't anything. Thanks for the great deal!" "Nothing could have been better! Not only did the entire order arrive as promised but the agents were responsive and knowledgable when I had follow up questions. I was nervous making this purchase at first thinking that this was too good to be true - it wasnt! Thanks for everything - I love my in-ceiling system." "This is what all busineses should be like! Amazingly helpful customer service, a product that is worth twice its cost, and fast shipping." "Excellent product and excellent service. Living in the DFW area, I actually went to their warehouse to demo the Level 3 bookshelves and was so impressed, I took home a pair plus a center channel speaker right then and there. Nice product. I'll be buying from here again." "Cannot say enough good things about the folks at Home Theater Direct. Their products provide best market value with customer service that cannot be topped." "HTD is great! The people I spoke with were knowledgeable and helpful. I was blown away by the quality of their speakers. They are the bargain of the millenium." "It has been 10 months since I installed HTD speakers in every room in my house including my 6.1 surround sound system. I couldn't be happier with the sound quality, fit/finish, and experience with HTD, nothing but professionalism and great knowledge from the first skeptical phone call. You can't find a better speaker for even three times what HTD charges. I still can't stop smiling when I'm watching a movie or listening to music. I would and do recommend HTD to any one who is looking for new audio equipment. Thank you!" "The speakers are wonderful! YES, EVEN BETTER THAN MY BOSE SPEAKERS. I have been telling all my friends about HTD. Yes I would (and will) purchase speakers from HTD again. Thank you HTD for offering a great product at a fair price." "I wish all customer service, replies to questions, competent assistance and products were even half as good as Home Theater Direct! The world would be a better place." "Superbly designed high end in-wall speakers that easily beat out the more expensive but less capable name brands. Excellent instructions and diagrams for simple and easy installation. No special tools required. HTD was very responsive to questions and feedback before, during, and after the sale. The addition of the inwall speakers have elevated the sound quality and performance of my home theater. I plan to get more HTD products for the rest of the house. Two thumbs up to HTD!" "They [HTD Level TWO Set] sound better than the Infinity and Polk I listened to, and made the Bose sound like a child's toy, in my opinion. Again, thanks for the great service." "Your site is a godsend in my desire to educate myself on the net. I've gone to the 'GoodGuys' to educate myself and your info and prices are farrrrrr better." "I recently purchased the Level TWO system. HTD has fast service and a great product!! I will recommend you to everyone I know who is interested in Home Theater. The sound is so good that I thought I was going to get shot last night as I watched Private Ryan. Great job!!" "I wanted to take a minute to thank you and Home Theater Direct for the fabulous service I received from your organization. In the past, I would never have ordered anything online, but I wouldn't hesitate to recommend you to anyone. I ordered the Level THREE speaker system and it's fabulous. It's everything you said it would be and more. With the quality of your speakers, I would have paid double through any retail outlet. Thanks again and I know you'll hear from me in the future." "I got my speakers [Level THREE] and love them! The finish is really astonishing- the sound as well. I wish you had better recognition out there- I think these should be selling like crazy." "I ordered 3 pairs of in-wall speakers over two weeks because I was tentative about these being off-brands but once I installed the first pair, I was sold for life. So, I ordered another smaller pair and then a final larger pair. They sound great and of course the price is phenomenal. I will put HTD in-wall speakers in every house I ever own!!!" "We just played Independence Day, the Level THREE center channel sound's as GOOD as it LOOK's.....Thank You!" "Thanks for a flawless experience. We purchased the Level TWO Sub and are very impressed by its quality. What a great addition to our home theater! The ordering experience couldn't have been any smoother! We will recommend HTD to our family and friends without reservation. Thanks for the great service and a great product." "Based on how professional looking and educational their website was, I emailed a quick question which was promptly answered. I subsequently placed an order and I'm very pleased with the speakers and the entire transaction." "You will NOT be disappointed. If they tell you something believe it. The sales person that I dealt with went into detail about the speakers I purchased and when I got them it was exactly what he promised." "This is my fifth set of speakers from HTD. The sound is awesome and their quick response is outstanding." "I was already impressed with the reviews of your products. However, the "value-added" approach demonstrated by your helpful emails adds yet another impressive dimension to the company." "I have been in the professional audio industry for over a decade. I recently read about your speakers, checked out the specifications and the price, and something told me that Home Theater Direct could not be for real. I was wrong! I asked a client if he would be interested in giving your Level THREE speakers a shot. I came out and paired them with a relatively high end Onkyo receiver and they truly impressed. The binding posts were by far the best I have seen on any speaker under $750 each, very solid and full featured. The drivers looked and performed excellently . . . they are definitely the best, most clean neutral sounding speakers I've heard under $400/pair. I will definitely recommend the HTD Level THREE speakers to other clients looking for the best performance for the money." "Your webmaster has created a very informative and valuable website. Finding this site is one of the payoffs of my computer investment." "The whole process was wonderful. I was looking at speakers that cost over seven times as much, and these little jewels from HTD have got to be just as good with my home theater system. I would highly recommend them to anyone looking for high quality at a low cost with excellent service." "Excellent product, great price, and timely shipping. Best online experience I have had to date." "My experience with Home Theater Direct was first rate. The technical department returned my call immediately and was able to answer all my questions. I received and installed my in-wall speakers today. The sound quality is excellent and the price is extraordinary. HTD is on the top of my list for online retailers." "I've ordered many things over the Internet and I've never had a better experience than with Home Theater Direct. I was very nervous ordering a speaker system that I couldn't listen to before purchasing, but with all the great reviews it seemed I could take a chance. My HTD Level THREE Set arrived the same week I ordered it. For the money I have never had a better listening experience. I was going to spend my hard earned cash on a bulky expensive system at a popular electronics chain, but I am very happy and blown away with the quality and sound of this product. I would say that every review I read was right on the mark. I would recommend this product to anyone who is looking for an inexpensive way to get into the home theater market in a huge way." "You guys have a great product and even better service. I'll do better than recommend your speakers to my friends, I'll invite them over so they can listen for themselves." "Thank you for the extra-special handling of my order. I could not be more delighted by your stellar customer service. Many retailers could take lessons in service from your company. Now for the best part, which is the quality. I am more than a little amazed by the superb sound from just one pair of Level THREE's. They can really light up a room! You have every right to brag." "Thanks for the fantastic speakers [Level TWO], they sound great. Our friends with the Bose Acoustimas are in awe of our system. My friend's wife said 'Why don't ours sound like this?'. If they ask how much, I hate to make them feel bad. Thanks Again!" "I have found dealing with Home Theater Direct to be very satisfying. I have told my friends about the quality of their products and their excellent customer service. This is my second purchase from them and they keep you informed about the status of your order, it is delivered when promised and it has both excellent quality and value. I feel very lucky to have found them." "Excellent! I bought four pairs of in-ceiling speakers for a home I'm building. My wife and I wanted whole-house audio like those "high-end" homes. With HTD speakers, we can have the high end without the high-end price. Thanks HTD!" "HTD product, prices and customer service is outstanding. They have a model which any eRetailer would be wise to follow." "Awesome products, phenomenal customer service, and a great return policy. HTD is one of the best online companies that I have ever had the pleasure of doing business with." "I just received my Level THREE in-walls, center, and powered subwoofer. I could tell by their looks they were quality products. I was extremely pleased to hear the sound they produced. The in-walls had much more bass than I was expecting. The center had very clear dialog during a movie. The subwoofer gave me more than enough bass for my system. I can't believe what a steal these products are. I was originally very skeptical, but now I understand all the positive comments. I will definitely recommend HTD to others." "I did not expect much when I ordered these (Level THREE Main Speakers- Cherry Red). Well, boy was I mistaken!!! I am not sure how you do it. My buddy, who I immediately called and ordered here at once, described it best. He said, "they sure got the math right"!! I cannot believe the bass response these things put out. You certainly nailed the crossovers and cabinet design. Clean, detailed and very tight and focused. I own several pair of speakers (Polk Audio, Boston Acoustic, MB Quart, B&W-I must admit, you have made me quite ashamed of how much money I have wasted!!!) but none have impressed me quite this much (dollar for dollar). I want to thank you for such an amazing product. I am spreading the word. "WOW! Recently I purchased a Level TWO Sub and Center to accent the 4 Level TWO in-wall speakers I received as a gift. They are so impressive I find the whole family in that room watching movies when the sun is down. I spent a ton of money on my living room speakers and they do not compare. Thanks HTD for a great product at an even better price! You have my recommendation!!!!!" "When you call, you get very knowledgeable customer support. The speakers Kick A$#!!! I got the Level 3, combo "X", and the 12" subwoofer shakes the whole house!! Really clear sound from the satellites, even at very loud levels. Excellent product." "HTD has provided the best service I've ever received from an online dealer. They were prompt in their delivery, extremely helpful whenever I had questions regarding their speakers and the product is awesome. There really is no competition with HTD. The quality, price and service is unequalled." "Fantastic! I have been telling all of my friends about this great company with one heck of a product! This has been my second purchase with HTD and the product is still beyond my expectations. Thanks Home Theater Direct for being available to answer my questions in a knowledgeable and professional manner! If anyone has any hesitations about HTD, give them a call or an e-mail. You will like the results, Guaranteed!" "I am 100% sold on the Level THREEs. I now fully understand how you can give a 5 year warranty and a 30 day money back trial offer! It is very promising to discover a company in this world that is more than their sales hype! Your products stand up to and exceed claims of outstanding quality and performance!!! You are the real deal! You all should be very proud of your products and service - outstanding. "Hey HTD, Just wanted to wish you all a very happy holiday season. I have ordered 2 sets of your speakers (level 3 and a level 1) and have been very impressed with the performance of both. Also, 5 of my friends have ordered speakers( with more coming!) and have been equally satisfied. It's nice to be able to share such a great company to others. Thanks again to everyone in your company." "I would definitely recommend these speakers to anyone looking for a great deal and a quality product. Thanks HTD!! The house is a shaking..."
"Your Level Two speakers out class my former speaker purchase (which I returned), for less than half the cost. HTD is truly a Triple Threat: Top Quality Product, Top Quality Sound, Top Quality Service. I already told 2 of my friends that are in the market and will recommend you whenever I get the chance. Thanks!" "Not only are the people at HTD very knowledgeable, but they went out of their way to ask additional, extremely helpful questions, that I hadn't anticipated with the installation of my entire home theater system and whole house audio. Very insightful and genuine guys." "I'm VERY impressed with the product, shipping, and packaging... especially for the unbelievably low cost. The outdoor speakers I bought were only $60/pair and they sound better than any of the ones I listened to in local stores costing up to $300/pair. The construction, documentation, accessories, and attention to detail were miles ahead of what I was expecting in speakers costing this much. Well done!" "You guys could be the greatest of all time." "Thanks for your detailed response to my e-mail. I could not be happier with the Middies. Even my wife loves them (and she's tough to impress, believe me)! I have, and will continue to, tell everyone about HTD, your wonderful product, and your unmatched dedication to your customers. I only wish every company took its customers as seriously as you do." "I just wanted to let you know that I unpacked and set up my new Level 3 speakers last night and everything has exceeded my expectations (which are quite high)! The craftsmanship is immaculate and the new natural cherry looks spectacular. I have been listening to music and watching movies ever since I installed them and can't get the grin off of my face. Thanks again and I will certainly pass this great experience on to someone else." "I ordered a level 3 center speaker and wow was I impressed! The sound is excellent, it arrived on time, its beautiful, and its cheap! A speaker like this one at this price is not supposed to be possible! I will be ordering again for sure!" "I'm going to make it very simple for someone who's in the speaker market and doesn't want to pay through the nose. Go to another high-end speaker manufacturer's site and look at their specs. Try hard to read past all their hype and compare their features with HTD. I bought a whole house full of HTDs and told people what I paid for them and they couldn't believe it. They are simply amazing, especially for the money! My brother who is an audio junky is embarrassed because of what he spent on his set. What everybody is saying in these testimonials is nothing but the truth. You would only be a fool to go with anybody else. Good job guys for the top shelf goods at a bargain basement price." "Home Theater Direct, not being a household name, is, in my humble opinion, the best consumer experience I have had to date and therefore I give an honest overall 5* rating. Integrating these speakers into my system made such an impact that family and friends have joined in the HTD experience for themselves. For years, I have been searching for the right sound and now my home theater system Rocks, thanks to Home Theater Direct. HTD product pricing is unbelievable and worth at least an audition considering the HTD guarantee. The price, build quality and The Sound will impress." "Wow! I put together a 5.1 surround system with a Level 2 Center and Level 3 for everything else. The order was at my door inthree days. The quality is amazing and the sound blows the doors off of many of the systems I have heard. Before you spend any money on those typical high-end systems - take advantage of the 30 day money back guarantee. I was expecting the speakers to be good - but they are even better than I could have imagined! I can not believe that I get the sound I am getting out of a system that cost me $680. This is the best thing I have ever done and my home theater is a great one now!!" "Home Theater Direct (HTD) should be regarded as a paradigm in the realm of online retail merchants. From their well laid out and easily-maneuverable Web site to the friendly, personal demeanor of their company reps, HTD is doing it right. I have purchased product from HTD twice, and will not hesitate doing so again. With HTD it's all about the customer, and service. I'm happy to give HTD two thumbs-up." "I was a little skeptical of their product. How good could the speakers really be? Well, my wife loves them. She hasn't liked any of the other ones we've tested except for the $10,000 pair that we just didn't really need to buy. I think they are great. I'm a big fan of Polk and Def Tech. I think for the price, they really are some of the best sounding speakers you can get. Well, now I have to include HTD. They are incredible. They provide a beautifully imaged, pleasing sound. The employees were great. I was able to visit the warehouse and check out their products. A home theater designer recommended them. Great stuff." "Hands down HTD speakers are fantastic. Actually carried on a pretty lengthy discussion with a customer service rep over at HTD reviewing and suggesting different speaker options. Not once did I feel like a sale was more important than providing straight forward advice to a potential customer. HTD really impressed the heck out of me. Fantastic company to do business with and more importantly the speakers are great and were very easy to install. Placing another order this week and recommending HTD to all my friends and family." "What can I say but they totally out priced the competition and the quality was so good that I returned the more expensive (over two times the price) ones back!! The cable (I am an audioholic) was far superior than monster cable and matched the exotic cables that were 4 TIMES the price (really). The best secret is actually their speakers. I had planned to buy $2500+ speakers that were highly acclaimed, but the LEVEL FOUR speakers blew them away with its combo of quality/finish/price. That is all I will say before I start drooling. The best darn quality high end speakers for under $2500." "The best value for my money I thought I had ever gotten was when I lucked out and got a double order of ribs from Outback at regular price. Today I installed my HTD speakers and after reviewing Paradigm, PSB and KEF the rib story is now second on the list. Thank you HTD staff." "Could not be happier! If you want great value, excellent customer service, and awesome sound HTD is right for you. Trust me you will not be disappointed. For 10 years I have wanted the music to flow through my house as easily as the electricity for the lights. Now it does! I have audio in practically every room in the house. I love being able to control the source and volume for any or all zones remotely from my phone. Having the same music in every room of the house is perfect for family get togethers and parties. Guests are amazed at the sound quality and the quantity of speakers in the house and several have asked if I paid the price of a new SUV for my setup. Using two MC66 controllers and two 12 channel amps I am running 12zones from my phone with no keypads. I priced a similar Control4 system for my house and they wanted in excess of $25k. I got an equivalent if not better setup and equipment from HTD for around $5k. The Control 4 specialist claimed the receiver and components I already owned could not be used and wanted me to buy a brand new receiver. HTD allowed me to use the receiver and components I already owned. My house already had some pricey speakers that came from the Control 4 shop installed in two rooms but the HTD speakers I installed in the other rooms sound better. HTD has earned a lifelong customer!" "We remodel homes and we've purchased 3 systems... we love this one. Ease of set up, amazing sound and so many functions! Our latest project was over 5,000 sq ft and the buyers love it. The customer service is EXCEPTIONAL. Have a question, just call and they'll walk you through it...I can not express enough that great customer service is hard to find these days... but not with HTD." "Paired these (HDX-R65) with the HDX-R65 Aims for a complete ceiling mounted in home surround sound theater experience. Great highs and lows. It's like going to the movies or concert in my own home." "I really like the ceiling mount that you offer. Great job!!! Certainly the best Alexa mount on the market." "Exceeded Expectations. The level 3 speakers are great products. High quality build for a very reasonable price. What you are saving on marketing and middle man expenses, you are gaining in quality . . . Amazing attention to detail in the method of shipping. Double boxed and cloth wrapped. They even include surface friendly gloves to unpack them with." "Exceptional product at a great price! In 2008, we purchased 7 of the HD-R80 High Definition In-Ceiling Speakers. We put 5 of them in our family room and 2 of them on the patio. We absolutely loved them! They were easy to install and sounded great. We recently built a new home, it was a no brainer to purchase speakers from HTD again. This time we ordered and installed 11 of the HDX-R80 High Definition In-Ceiling Speakers, 5 for the family room, 2 for the master bathroom, 2 for the patio and 2 for the front porch. They sound outstanding and we use the speakers every day . . . They are packaged extremely well, I can't imagine them becoming damaged during shipping." "This product has been exactly what I was looking for in whole house audio but without the high price of other comparable systems. Setup was very easy and I've had very few issues. HTD support answers their phones right away and can talk you through technical issues very quickly. I would buy this product again in a heartbeat and would definitely recommend it to others!" “I have a 7.1 theater surround system setup with a 100" projector screen. The sound is amazing and makes you feel like you are at a five star theater. I have recieved plenty of compliments and "wows" from friends and family. I have installed every piece myself and was impressed with the build and design. The customer service was outstanding. I like the fact that the people that answer the phone are very knowledgeable and can answer any question or give excellent application advice." “I have been considering the HTD lineup for years now. I have heard and desired a higher quality speaker with a ribbon tweeter after listening to them in CEDIA demo booths years ago. I finally pulled the trigger […] for a level 3 center channel. Wow. After a few weeks, I knew I had to "pull the pin" and order the left/ right in level 3 as well. I gave them an afternoon of break-in, and performed the audio setup through the Denon receiver again. Popped in the Eagles Farewell I concert disk in BluRay, played a few samples, and finally sat to listen to Hotel California. I cannot imagine home audio better than this. Shipping was fast, and really well packages/ protected. Highly recommended." "We bought our entire system from you folks and love the versatility of having spotify in the kitchen, itunes in the rec room, while listening to the 60's on the turntable in the living room. The speakers are for the entertainment center in the living room. Great sound and fit. Thanks for coming up with such an awesome product!" "Just installed three HD-W80 and two HD-R80 speakers in my brand new home theater. These speakers are a great value. They are superbly constructed and sound fantastic. Combined with my Level 3 subwoofer that I got last year from HTD, I have a great home theater. If you are searching for speakers for your home, stop looking." “Very, very impressed. I'd do a commercial for you, except I'm probably too ugly . . . Very impressive support and product line, just what I was looking for. I had a Niles system that failed (as did their support, miserably). Had/have cat 5 wired to Niles touchpads and a 9 channel amp sitting in my garage. Your MC-66/ WGWSL1/ KC6N-W/ Valet App combination is working flawlessly. Bravo to you and your team! We are probably moving next year and will go to you first when contemplating a new system. Did I gush enough? My wife loves you too, loves controlling everything from the IPad." "Great product at a great price and John just rocks, you guys have all my business going forward. I tell everyone how great my experience has been." "I have been an HTD fan since the beginning and have installed over 30 pairs of speakers and use the whole house audio system daily. I love what you guys do and recommend you to someone at least once a month. Keep it up." "We recently remodeled our first floor, a complete rebuild to the studs and back. When we did the remodel I set up the whole first floor for a centralized audio system...I wanted a system that I could control without keypads. Controlling everything from an app was much more appealing to me and limited the amount of Cat5 cable we needed to run around the house, etc. After having installed this mid-level padless system, I must say I'm completely impressed and blown away. I had the system installed and running within a few hours... A simple request for a valet app for my phone and a quick call with customer service to help set it up and we were off and running […] I can't speak highly enough of the customer service from HTD. The system sounds fantastic. I've been trying out all flavors of music, from acoustic to some more "youthful" music. Have brought over some friends with discerning tastes and everyone loves the system. I'm running a playstation, receiver, bluetooth audio and cable TV sound through the system. All controlled through my app which I can customize zones and source settings and preset moods for parties or dinners, etc. I can't recommend enough purchasing products from HTD. They have a great team, manufacture a great product, and come through on the quality where it matters." "HTD = AWESOME, INCREDIBLE and MORE If you are fortunate enough like I was, to stumble onto the HTD website, you need not go any further. This is the place to be if you are looking for the finest, best value sound system available anywhere. I know I sound like all the other reviews but words are inadequate to describe my experience with HTD and Mike S. I am a total sound system illiterate and wound up installing the whole house mid-level audio system (MC-66 controller and DMA-1240 Amplifier) thanks to the incredible guidance and patience of Mike S. After committing to build a new home I decided not to accept [the builder's] surround sound system option at what I considered to be an exorbitant cost for the great room area of our new home. Instead, I decided on the option to prewire the entire home and find a way to install the 8 speakers that would go with the prewire on my own. After an unsuccessful trip to Best Buy, I began to search the web and stumbled onto HTD. At first I was simply looking for speakers and a controller for the 4 zones. Then I began to read some of the reviews about the speakers and I knew I was into a good company. The next step was a phone call where I encountered one Mike S. He is the man. Once I explained what I was attempting to do, he began to give me some options. Slowly he introduced me to the concept of the whole house audio system and before long, for less money than the surround sound system, I could have a 6 zone, 12 speaker system (expandable to 24 speakers) with 6 input sources and state of the art wireless control of the entire system from my smartphone or tablet. Which is exactly what eventually happened. Before we even began construction of the home, Mike had sent complete wiring diagrams to me for the entire floor plan which I forwarded on to the building contractor supervisor. He was so blown away by the diagrams and instructions that he shared them with an entire group of building supervisors responsible for constructing homes throughout the Sun City community. The electrician doing the pre-wiring waited to do the pre-wire until I visited prior to the walls being enclosed to make sure everything was exactly as it was designed to be. The installation went fine and Mike's patience with me on the high tech aspects of connecting the Samsung tablet and smartphone to the system completed the project. From quality of product, to shipping so that everything arrived exactly when we were ready for it, to the amazing service from Mike S, I could not be any more pleased." "Purchased the MC66SET with KC7 volume controls and all of my indoor and outdoor speakers. I was skeptical of my purchase because of the "get what you pay for" theory; I was proven that isn't the case all the time. The set is very good looking and easy to install. The few issues I had were deteremined to be due to issues on my end. Jonathan A. was very patient, professional, and eager to assit. I would highly recommend not only the product line, but the company as a whole. In a world where customer service appears to be a thing of the past, HTD.com proves they still believe it's important." "I purchased a pair of black Level Two towers with fairly high expectations based on reviews, and those expectations were blown away. They shipped the same day I purchased, arrived double boxed and professionally packaged as well as I have ever seen. They are flawless in appearance and have a very high quality look about them. The black paint is satin and the base easily bolted onto the tower with a perfect fit. The drivers just look the part and are very well made. So, how do they sound? NICE!...They image beautifully, and if I had to choose one word to describe the overall sound, it would be SMOOTH!... Knowing what I know now, I would recommend these speakers and this company to my family and friends all day. The quality of the sound and finish is impressive on its own, but when coupled with they price I paid, it's well.......... Unbelievable!" "Grrrrrrrrreat! I own an A/V company and for the price I cant find anything better. The staff at HTD is second to none. My wholesale costs from other products and suppliers are more expensive than HTD equipment. Obviously other companies are making a fortune with other products. Honestly HTD makes an amazing product. From an owners stand point, I wish HTD sold wholesale but I believe in giving my customer the best bang for the buck as my business is built on reputation I sell my customes HTD and simply pass along the saving. I know the product will work and I know HTD will be there to support it. Starting a 12 zone system in a 1.5 million dollar home in Dec of 2013, all HTD." "All Around Champion” (Mid-level Whole House Audio System) for quality, flexibility, & output quality! Impressed with the dynamic capabilities for tonal control by zone and ability to configure in so many ways. Customer Service is PHENOMENAL! Very responsive and far more knowledgeable than virtually any other source I have yet worked with. Would rather call them for answers (even to other vendors issues) than the actual vendor. Chris and Jonathan have been stellar in assisting with right product for need, and coordinating with outside software programming and ancillary equipment set-ups. Thanks!!!" "I had another sub woofer that I thought was good until I heard how much truer this sub sounds. This sub has a 2" smaller speaker than my last sub but totally outperforms the 12" sub. Use it mostly for home theater but I find it sounds very good with music also. Love it!!!" "These guys are great! They answered all my questions and I went to them after a friend did and I saw what he had! [Product] could not be better . . . If you have never used HTD, you have gotta try them!!" "We got about 20 of these speakers [HD-R65] as a part of a whole house audio install while we were finishing our basement. While the rest of the project didn't always go smoothly, everything from HTD did. I'm not an audiophile, but these speakers sound better than the other options our A/V guy put forward and they were less than half the price. The sound is great and we're very happy. These speakers make up both whole house audio and a portion of our TV's 7.1 surround sound. They work great for both applications. Prompt delivery, well packed, and customer service was prompt and excellent." "I did my fair share of research on whole-home audio systems before choosing the Lync 6. It does everything I wanted without being overly complex, also offering other perks such as intercom and doorbell. Speaker and Cat6 lines were pre-ran, and once the Lync 6 arrived, installation was easy. I now use a Bluetooth receiver located next to the Lync 6 to stream audio from my phone to any room in the house and couldn't be happier." "I used to be a professional home theater designer, so I have worked with and installed some of the highest end speakers on the market. For the money spent and the over all construction and design, these give you more bang for your buck! Great sound, easy to set up, and nice adjustments once installed, I couldn't be happier! Thanks HTD!" "BEST EVER! I did a lot of research for speakers and was just turned off to the overall cost of anything with quality on the market. When I came across HTD the first time I was skeptical of the product / company . . . HOWEVER, after doing the research I didn't find one bad comment about the product or company . . . So I pulled the trigger and bought a system. From the very first step of ordering, all the way to receiving the product, packaging, installation, and sonic experience I have to say I was more than pleased with my decision. I can honestly say HTD is a QUALITY PRODUCT & COMPANY in a world filled with companies that are morally bankrupt. I'm telling everyone of my friends about HTD, I bet you will too after experiencing their total quality. YOU GUYS KEEP UP THE GREAT WORK!!!" "After spending way too much time researching the "perfect" amp to buy, a friend steered me to HTD. [...] Here's why this product (MCA-66 and HTDNET-MC) is so awesome. You have six zones that work independently from each other. Meaning, you can have airport express streaming music from your iPad into your kitchen, the living room speakers playing your TV, and a CD going in the dining room -- ALL at the same time. It's basically a mini-patch bay... just without the price tag. Best part? You can control it all WIRELESSLY from your smart phone -- and switch zones on the fly without ever having to touch the amp. It's incredibly powerful, flexible, and easy. The set-up is relatively simple...If your looking for a wireless solution to have whole-house audio control, this is it." "Excellent home theater front stage! Compared with what you can buy at big box stores, these (HD-R65) were an excellent buy. Sturdy build, warm sound but controlled bass...Musically a good speaker that provides a quality sound for multiple uses. VERY HAPPY that I took a chance and bought based only on internet research! Will buy from HTD again in the future if the opportunity arises." "After sinking a ton of money in a home theater, we decided to set up our den with 7.1. A friend told me to give HTD a try. I first used them for our whole house audio, and was thoroughly pleased. I then bought these great little bookshelves [Level THREE], matching center channel, HD-R80's in the ceiling, and their Level 3 Sub. I am powering this with an Onkyo receiver and just love the sound. My wife and I like it so much, we never seem to use our actual theater. Thanks again HTD for some really great products and wonderful customer support!" "I've only been using these speakers (MP-W50) for about a month now but they sound amazing. It sounds great for movies AND music, which is a huge bonus. They are attractive and blend into the ceiling. They are hardly noticeable until you hear them and it makes it sound like its raining in the room when it rains in a movie or show. I would buy these all over again. Very satisfied." "…What magnificant speakers these are (HD-R80). Was totally floored when i finished my install last week of the incredible quality of sound. I gave it a week to tweek the sounds to my converted garage to bar project…Bass on these speakers is awesome…You will not be disappointed…"
"The HD-W80's have great sound and are perfect for larger rooms or spaces where you want to blow someone's socks off! Excellent quality for an amazing price! These were very easy to install." "This (DMA-1240) is the unit I have dreamed about for multi-source, multi-area, multi-controlled applications. I have been installing audio in museums and similar locations for many years and this unit could have been designed for this purpose. It's intuitive to set up and use. I can definitely see this in any multi-room residential application as well. Great product!" "I built my house three years ago wired and speakers for 10 zones. No whole house audio manufactures offered what HTD does for less than $5K. They helped me properly combine zones to what made since (master bath with key pad, master bed with slide control). Saved me a ton of money and there system is top notch. I do not know how I went without whole house audio for this long. The sourcing at the key pad is the coolest and the IR works like a charm. The tech support and sales is unmatched anywhere. Sold and sent me everything I needed to complete a prewired system. Look no further for an equal whole house system, you will not find it. I know I spent three years looking for it." "I read some online reviews / forums and took a risk-free risk on a speaker that could be returned no questions asked in 30 days. I'm thoroughly enjoying movies, games, music, and cable tv the way its supposed to sound." "Now I get it. I know this brand gets a lot of good reviews and now I understnad why. ... These are unreal and more than a great "deal" for the price- the cabinet is solid (and heavy) and easily passes the "knock" test. The finish is perfect for home theater- gorgeous, professional finish (mine are black) without the high gloss that causes unwanted glare. The components are first rate and definitely custom-made. A friend of mine turned me on to thsi company and of course I was skeptical- not any more! I will recommend (HTD) to anyone that is serious about sound." "The HTD speakers I purchased were an excellent value. Good sound at a price that I could not find anywhere else. [...] This is a very professional company that I HIGHLY reccommend. I will come back to HTD for all my home theater and audio needs." "Just moved into my newly built house where we were able to prewire for a wonderful home theatre system. I decided to try Home Theater Direct after reading repeat positive comments from users and now I will add my accolades. The speakers look nice, provide astounding sound and the ordering process was great. I will recommend you to friends in the future." "Mission accomplished! The speakers work as they have been promised. The system placed me and my family right in the middle of the fight scenes of Transformer. The power they produce at high volume without distortion was impressive. My wife and kids were in awe. I put on John Coltrane, Miles Davis, Billie Holiday and many more late at night and was in Jazz heaven. The clarity of every single note at all volume was exceptional. Thanks for the affordable option of exceptional home theater. Many of my family and friends will be recommended." "I purchased a 7.1 in-ceiling speaker system three months ago and I must say that it has exceeded my expectations. The sound quality is very good for music and OUTSTANDING for movies! HD-R80's, HD-R65's and a level III 12" sub with an Onkyo TX-SR706 receiver and Denon 1940 dvd player really deliver. PLUS the customer service and consultation was top notch all the way through the entire order process. I consider this purchase to have tremendous value - I will look to HTD for future home entertainment purchases. I am currently giving HTD referrals to anyone who will listen. Everyone who has seen a movie through this system has said one word, "AWESOME!" FIVE STARS!" "My wife bought me a level 3 subwoofer as a gift to complement our level 3 mains and center. I love the level 3 front section and the subwoofer is astounding - I auditioned a lot of subs and only the ridiculously expensive (and I'm talking $1500 plus) subs were able to perform at this level. This subwoofer is excellent - punchy when it needs to be, subtle when that's what's called for and above all it's still musical, something only the very finest subs manage. I continue to be staggered by the value for money you offer and delighted you use a reflex transmission design for all of your level 3 speakers rather than a cheapo generic 'box-with-port' solution. You guys rock, so do your speakers!" "I recently received and installed my Level Two speakers. Everything arrived in a timely manner and was packaged very impressively for shipping. I was admittedly skeptical about buying speakers online, but with your 30 day in-home trial, I figured I would give them a try. I am very happy I did! My set-up does double duty, being used for home theatre as well as music. It is in my living room, I do not have a room I can dedicate exclusively as a home theatre. As for movies, the imaging is fantastic, and when I use them for music, they perform equally well. My wife, who does not share my enthusiastic appeal for home audio, had but one thing to say when we sat down to watch a movie...."Oh Wow!!" I frequent several online home theatre/ audio forums, and this is where I first heard of HTD. I have, and will continue, to recommend your products based on the quality and customer service you provide. Thank you for a quality product at a reasonable price." "As a repeat customer of HTD, I cannot say enough good things about their Customer Service - patient, honest, responsive, helpful. I finally made the big purchase for the Advanced Whole House Audio system with all the bells & whistles. I installed it myself, with help & feedback from HTD - I have a House System people cannot stop talking about when they come to visit. My system is the wave of the future - and prices are extremely fair. I would recommend this company to anyone looking for a solid value on home theater products (period). Love HTD. If you ever go Public I want some stock...!" "Hi guys. I finally got the speakers installed. They are every bit as good as the similar JBL's I had before. They have excellent quality. I have the HD- W80's. Easy installation. Great product. Thanks a lot. Keep it up." "I wanted to take a moment to thank you for all of your time and assistance in ordering our home audio equipment. You went above and beyond - and the equipment is fantastic. And the price... forget about it! A steal compared to everything else out there. Thanks for every little thing." "Just wanted to let you know that my order delivered yesterday! I hooked the Middy's up to my surround system and the sound is outstanding! A huge improvement over the Kenwood speakers they replaced. I am going to order another pair soon to use as presence speakers on our surround system. Great product, great service and a great price!!!" "I absolutely could not be happier!! On my initial order, the wall and ceiling speakers were just too large for the space. I got quick return support with shipping label included. Second order arrived (added a center speaker) and the fit is perfect, and so is the sound! The speakers are very well matched and give clarity to voices and surround sound that I've never heard before. Had surround sound for 11 years and just didn't know what I was missing! Outstanding product, customer support, and quick shipping. You have a customer for life!!!" "HTD was terrific. They were very knowlegable and took the time to educate me on what I needed and made me feel good about a significant online purchase. I would highly recommend them." "I recently purchased 2 pair of the in-ceiling speakers for my new home. I appreciate the effort and time spent by your staff. They allowed me to even email them the floor plan and room layout and gave me advice where the speakers would perform best! The speakers were a breeze to install and have performed beyond what I thought I would have had to pay much more for! My media room has become the hang-out for all the latest sports and movies!" "Was one of the best on-line shopping experiences I've had and I am an experienced on-line shopper. This company knows what they are wanting to do and knows how to execute their plan. I am very happy with my purchase, my product and service." "I was a little skepical about using internet ordering from a company I hadnt heard of before this purchase. But I had prompt, helpful answers to my e-mail questions before the purchase, a 4-day delivery time for the speakers, and I am very happy with the quality and sound from the speakers. They were everything that they said they were. I would recommend HTD to anyone." "The quality of the product and the low prices are unbeatable. Customer Service is one of the best I have ever worked with and I have worked with quite a few." "The HTD people were very helpful and had a complete knowledge of their product. I would recommend my HTD speaker system to all my friends. My in-wall system cost much less than in the stores I visited. The speakers were bigger and had adjustment options not considered by other manufactures." "HTD has provided me with a product and a level of service that are both very impressive. In a fast-food type of audio retail these days (with the big chains at least), it was very refreshing to speak with a real live person and receive answers to all my questions, and solid advice to help me in my buying decision. This was followed by prompt delivery of my speakers and stands, and professional packing that is truly first rate. They arrived safe and sound - all the way to Northern Ontario, Canada! Youve got a life-long customer in this guy!" "I shopped around for several months and talked to quite a few people about home theater systems before I settled on Home Theater Direct. I was searching for in ceiling speakers and found quite a few differing opinions. Chris with HTD was VERY patient with me and answered all questions in detail. I purchased the HD-R65s with a Middy. I also placed an order for the Level TWO sub. I appreciate the help! Unlike shopping at the local electronics stores where the help thinks they know what they are talking about - HTD does!" "HTD is very helpful and professional, their speakers sound second to none and the advanced home audio setup is superb. I'll install HTD in every home I live in from now on and recommend them highly. Thanks HTD." "Best Deal on the Market for the Quality of the product. You get a lot more bank for the buck in comparison to shopping in an electronic store. And with name brands your mostly paying for that name. The company takes great pride in the packaging of their product for shipment. And they don't use sales pitches, and they live up to their word. What a concept. I'd say more companies should do business like HTD!!! Thanks for being open for business." "Home Theater Direct exceeds my expectations every time I order from them. Without a doubt the best place to order high end home audio at low end prices. Other audio companies should take a lesson from HTD." "The speakers I ordered were delivered exactly on time and as promised. It's top notch equipment and I easily saved several hundred dollars. I'll use HTD again and recommend them without hesitation. HTD is awesome!" "The best speakers for the money, or double the money for that matter. Rarely is my satisfaction for a purchase so long lasting." "Dealing with HTD has simply been one of the best online shopping experiences I've ever had. Their speakers are top notch quality and sound absolutely amazing. You won't find better speakers for the price anywhere! The customer service is second to none. The only problem is I keep coming back and buying more!" "Ordering my 7.1 speaker system was a breeze! Arrived extremely well packaged, I was surprised at all the little details and care taken when this merchant packaged my 8 speakers for shipping. Quality was top notch. Not a single dent or scratch whatsoever. These speakers sound wonderful! Highly recommended!" "Very satisfied with quality of speakers, shipping, and service. I highly recommend HTD compared to higher priced speakers!" "Nothing but the BEST from HTD! Return policy is phenomenal! I am a customer for life!" "I was absolutely delighted with the service. Speakers arrived as promised and were better quality than expected." "I have to admit I was wondering if all of the great comments that your customers wrote were true, but since it was risk-free to try I thought what the heck. Well let me tell ya, it's all true! I can't believe how well these speakers [HTD Level THREE 5.1 Set] perform. I'll be a HTD customer for life. Great job everyone!!!" "This is my second order from Home Theater Direct. I'm very happy with the quality of the speakers. In fact, I priced the same speakers at a local store costing 4 times the price. I plan on buying more very soon." "HTD was a great place to shop. Price, quality and service were excellent." "Such a pleasant surprise. In-wall speakers that were the exact same specs as some JBL speakers I was interested in, except a LOT less expensive. I went to a lot of trouble to install them right. Have them working perfectly. I almost ducked watching a video of the Lost World when the rescue helicopter flew overhead. The best part is the musical quality. Never thought I would get the balance and the frequency response out of in-wall speakers. Very pleasing experience. My order was delivered in 3 working days. Couldn't have been better." "Thanks for the quick response as always. I am up and running with the Level TWO in-walls in my surround system. They sound excellent!" "Your site is an excellent source for non-audiophiles . . . it is very well laid out and provides useful info and links . . . very educational. Your site also helped me select two components, a receiver and a cd/dvd player"
"Excellent rating. Prompt follow-up (by phone!) to a question via e-mail. Shipment was prompt; product arrived in good shape." "I purchased your Level ONE Subwoofer and one set of the Level ONE Main Speakers (as my surround speakers) and have found that they perform quite well. . . The affordability married with the sound performance is outstanding. I'm especially impressed with the cross-over frequency response on the subwoofer. I will indeed look to your speaker line again and hope to try out your Level THREE line in the future." "Today I received my Powered Subwoofer days ahead of the expected arrival time. I am amazed at the quality of service, as well as the value of the item for the low price. I am so glad I discovered HTD and would not hesitate to recommend them to anyone seeking maximum value and outstanding service." "These guys are great! Answered all my questions promptly and informatively. Special requests handled with ease. Would definitely buy from them again." "I purchased the Level ONE Powered Sub. I was skeptical that it wouldn't be to my expectations, but was I wrong. I have my whole system down stairs. This 8-inch sub really shook the floor upstairs. My wife even complained about it being too loud so I had to turn it down a notch. I'm already planning on purchasing the Level One In-walls for the new house we'll be moving into very soon. I recommend anyone to purchase through HTD! I sure was sold! Thanks HTD!" "I ordered two speakers to see what the quality was like. I liked them so much that I plan to order more in the near future." "A great product for a great price. Had it in 3 days after ordering." "The speaker stands are a steal at $79/pair. I am very impressed by the quality construction." "Excellent rating- unexpectedly fast delivery and no hassle with stereo salesmen!" "They had the best product for half the price of others. I wish all evaluations of speaker systems would include them too!" "The quality of my Level TWO speakers is superior. I will definitely look to HTD when I purchase speakers in the future. HTD had prompt delivery and incredibly protective packaging." "Helpful staff and excellent quality equipment. I would recommend this HTD in a heartbeat." "I just wanted to drop you a note to let you know that I am AMAZED at the quality of sound from such an inexpensive set of speakers (combination of Level ONE and TWO). You have an excellent product and I am thankful that you can keep the cost down by selling direct. I feel I received a tremendous value by going with HTD." "HTD has an excellent speaker that rivals ones that are twice as expensive. You also get excellent customer service and installation tips which make HTD an even better value." "Product, price and service are outstanding with Home Theater Direct...The product was delivered on time even during the rushed holiday season. The quality of the HTD Level 3 speakers cannot be beat for the price...When I had a small installation issue, I submitted an email that was promptly answered with a sound bit of advice that allowed me to work thru the problem....I would not hesitate to recommend this product and company to anyone"
"I had a wonderful experience with HTD. The support people are top notch. In my opinion, this company's operation should be the model to which other web merchants work to." "The Level THREE's sound amazing. I am very impressed with them." "I was amazed at the quality of the product, given the price was 1/3 of a comparable brand at a retail store." "The speakers were better than ever expected for the price. They arrived very quickly and everything was easy to install. I was very impressed." "Friendly customer service. Especially good prices. Easy to navigate. Excellent rating." "The Level THREE Speaker Set is a very good value and more than I thought it would be. I am quite satisfied with the product." "This is my second order in a month. Top notch equipment and top notch service." "Dealing with HTD was a thoroughly enjoyable experience. I viewed their site and then emailed with specific questions. Their response was prompt and very helpful. I was sent an order verification, a tracking number and best of all, my order arrived in the time they promised. Great Job Guys!" "Product arrived earlier than expected. Product quality is better than I expected." "Helpful people & great prices! All of my emailed questions were answered promptly. Highly recommend!" "The speakers sound great. I was really impressed with the quality for the money. I got two pair of Level ONE In-Walls and will be getting a third pair soon!" "The entire experience exceeded my expectations. I purchased the Level III center, mains, and subwoofer. When I decided not to keep the subwoofer, I returned it and received an immediate credit card credit. This place does it right: one-ring answer customer service, great products, and an ethically correct way of doing business." "The [Level TWO In-Wall] speakers were better than ever expected for the price. They arrived quickly and everything was easy to install. I was very impressed!" "Stunning service! I truly wish you guys all the success." "I thought my entire experience with HTD was enjoyable and prompt. Everything from receiving and shipping my order in a timely fashion to supplying expertise after the sale during installation. I would recommend their site to anyone looking for quality speakers at a fair price." "The new sub sounds awesome. The Level THREE system sounds just the way I had hoped it would. Very solid, big sound, just great." "I replaced some old JBL towers with HTD's, and the HTD Towers sound fantastic- much cleaner and crisper. I am very happy with my purchase." "The product arrived on time and double-boxed. The speakers perform very well. I would recommend HTD to anyone." "The speakers are constructed well and have good sound quality. The brackets for mounting the rear surround sound speakers are well constructed. I received my order in less than five days." "These guys stand behind their products. I am very happy with my purchase and that's why I returned for another purchase. An excellent product with good service! Keep up the good work." The service was great, the tower speakers are well protected in double boxes. I am very satisfied with my purchase." "The speakers sound great! What is most important is the customer service after the sale. They exceeded my expectations. I have and will recommend HTD to my friends. The Level TWO Sub is thunderous!!" "I'm completely thrilled by the sound [Level THREE Z Combo], the way they look, everything! Especially with the new DVD/SACD player I bought to go along with them, I haven't felt this way about listening to recorded music in thirty years: just completely enveloped by, lost in the experience. Heaven. Thank you." "I have dealt with this vendor on a few occasions over the last 3 years - I feel secure, confident, and pleased in all my dealings with HTD!! They offer excellent product for the best prices!" "HTD impressed me. The order that I placed was shipped almost immediately, I was kept up to date as to every step of the order and billing process via email, and the speakers that I received are outstanding. Given the unpleasant current trend of declining customer service with many companies, it is refreshing to work with one that seems to truly value it." "I am a first time purchaser from Home Theater Direct. It was recommended by a friend who is a repeat customer. I received quick e-mail response and quick shipping with tracking. I also wouldn't hesitate to use again!" "The product exceeds my expectations and the prices are very reasonable." "I bought a set of your speakers last year and just had a chance to install them last night (I've been building for a year). They look and sound great. My friend that helped me install the system could not believe what I paid for the speakers. He was blown away! Thanks again." "More then I had expected, bravo. Fast, updated shipping information and a great quality product." "The risk-free guarantee for first time buyers was irresistible. The order, payment, and delivery were fine. Most importantly, the product is excellent, which is why I wouldn't dream of sending it back." "The customer support was out of this world. They went way above and beyond for me. The service was great, shipping prompt, and product excellent." "They emailed back quick with answers that helped... Very helpful in everyway... Very pleased with the purchase... Equipment arrived very quick... A++++++"
"The ordering process was very user-friendly and my four AL-R80 In-Ceiling speakers arrived on the date promised. The several calls I made to HTD for installation questions I had were handled very professionally by trained technical personnel. In a large family room setting with twelve-foot high walls, these ceiling mounted speakers perform in an absolutely awesome fashion, with fantastic clarity and volume! I can't wait to get my HTD patio speakers installed. I have referred friends and neighbors to HTD and would recommend HTD to anyone looking for excellent value in sound system speakers." "I am using a set of your premium in-wall speakers with a 20 watt Russound system. MAN, these things are the best. They sound great and can really crank! I wanted to say thanks to everyone at your company. I will recommend these speakers to anyone. Hands down they are the best!" "Beautiful . . . this is what makes the Net Rock!" "After extensive research of different brands of speakers ( most of which were way out of my budget), I decided on the Level-3 combo Y, with an additional set of level-3 bookshelfs for the surround back channel. The experience was a total pleasure from start to finish. When the speakers arrived, I had some questions about the setup and they were a great help. The sound is AWESOME. The fit and finish is great. My system rivals my brother's for about a 3rd of the cost. I will refer HTD to my friends and family. I am now an HTD customer for life." "The best company I have ever done business with on the web. The price, the products and the people are all outstanding and I will continue to purchase from HTD for myself and my family. Actually one of the best companies I have done business with web or brick." = a great shopping experience and a satisfied customer every time. The notes on the website are TRUE....HTD is the industry's best kept secret." "One of those rare companies that really makes it a pleasure to do business with. I had an issue with the speakers' color not matching the decor of my living room. HTD exchanged them for beautiful cherry ones that now not only sound great, but also look amazing in my living room. No hassle at all. I'm definitely keeping these speakers. They sound and look like they should cost a fortune...incredible value. Very cool company. Excellent sounding and looking product. Highly recommend." "I would like to start with how great the products are. I love your speakers and have been using them since I bought my first speakers for myself; and been using them in my installs ever since. The sales people are nice and will work with you if you are in a time crunch. I have been recommending HTD to all of my friends. They are the best when it comes to speakers. HTD, keep up the good work." "Great online merchant, they will definitely be my first stop whenever I need home theater equipment!" "HTD was by far one of the most professional and efficient e-business companies that I have ever dealt with. The customer service, product and advice that I received were excellent. I would highly recommend these speakers and service to anyone." "Fantastic quality, fantastic price, and boy do they look nice! I ordered the Level 3 5.1 system with tower fronts (260lbs for all). Delivery was to Canada, and there were no problems . . . Sound is unreal - I don't think I could have found the same quality for twice the price." "Overall transaction was outstanding... HTD, in my opinion, has the best built speaker systems around. Fantastic sound, unbelievable quality, best value overall." "Great quality speakers at a great price! This is not the first time we've ordered, nor will it be the last!" "No high pressure sales whatsoever. Exceeded my expectations. I bought the Level 2 set along with the level 2 towers. I am very pleased. These speakers have a very warm sound; smooth with a high degree of clarity. No mud, boom, or hiss. In a word: sweet. For home audio/theatre, I honestly think HTD is the best value on the market. For the money, you cannot buy a system that comes close to this caliber, at any store. I went to a Tweeter store for fun the other day and walked out laughing. If you are sitting on the fence, get off it and buy these! Highly recommended."